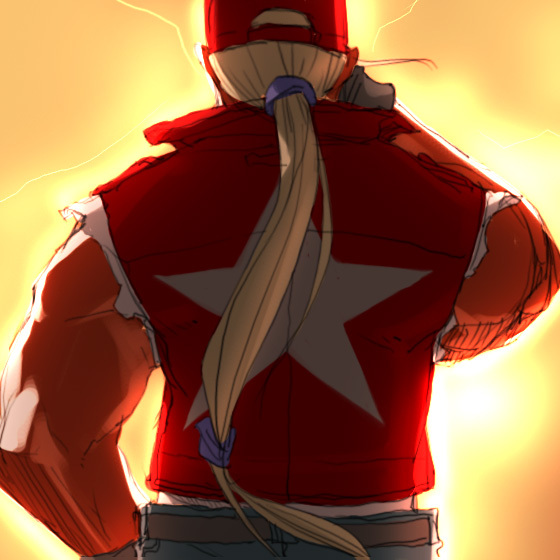 Part 2 of TFG's Artist Profiles Feature! 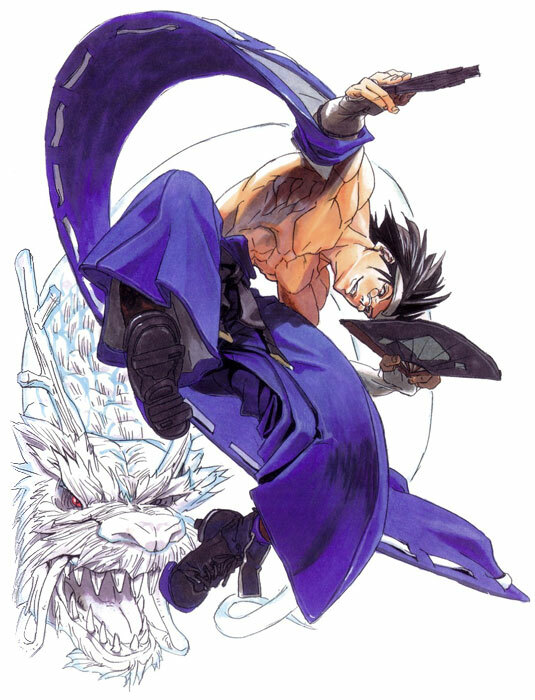 Hiroaki Hashimoto joined SNK in 1998. 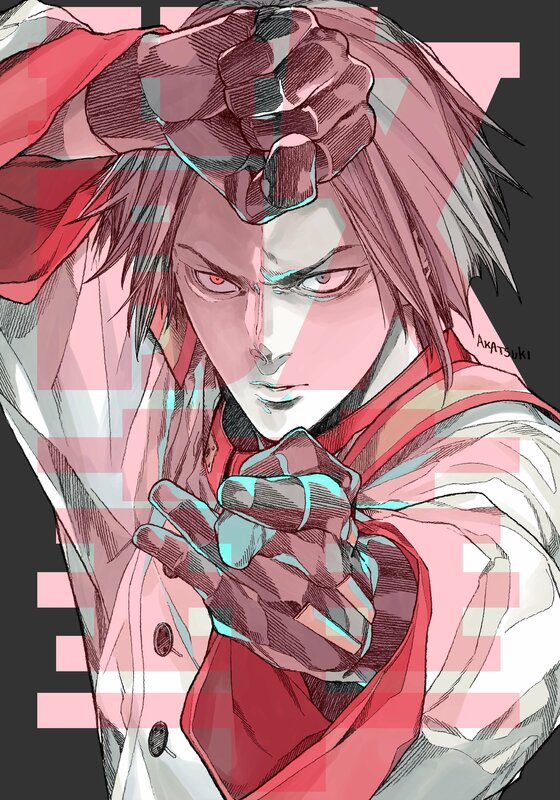 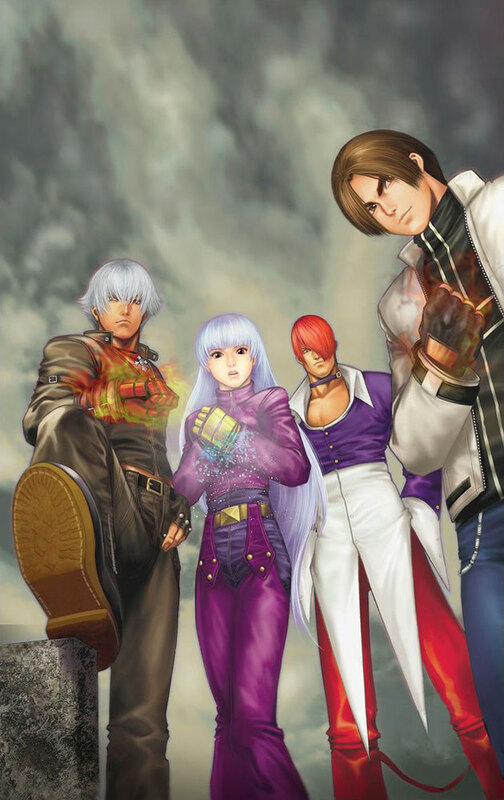 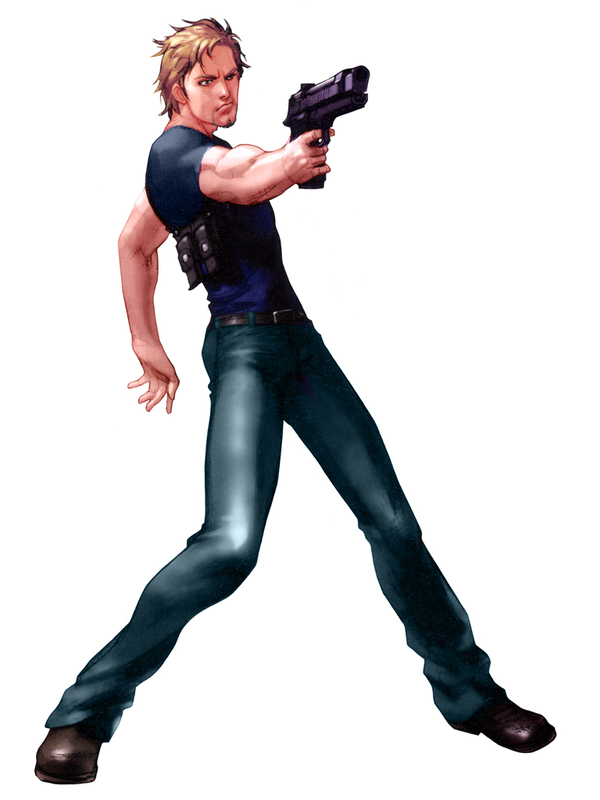 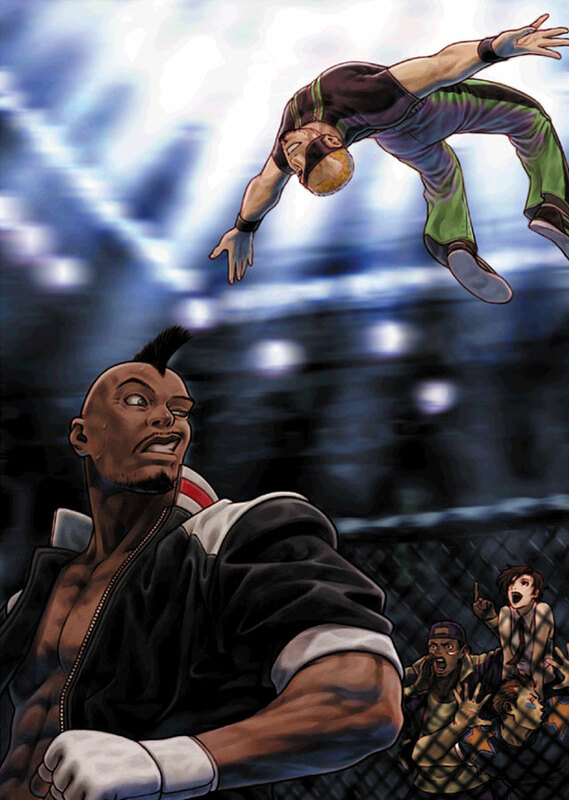 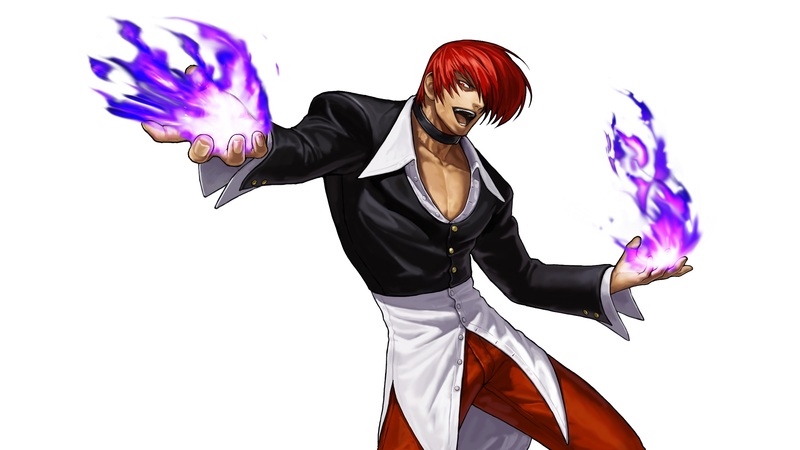 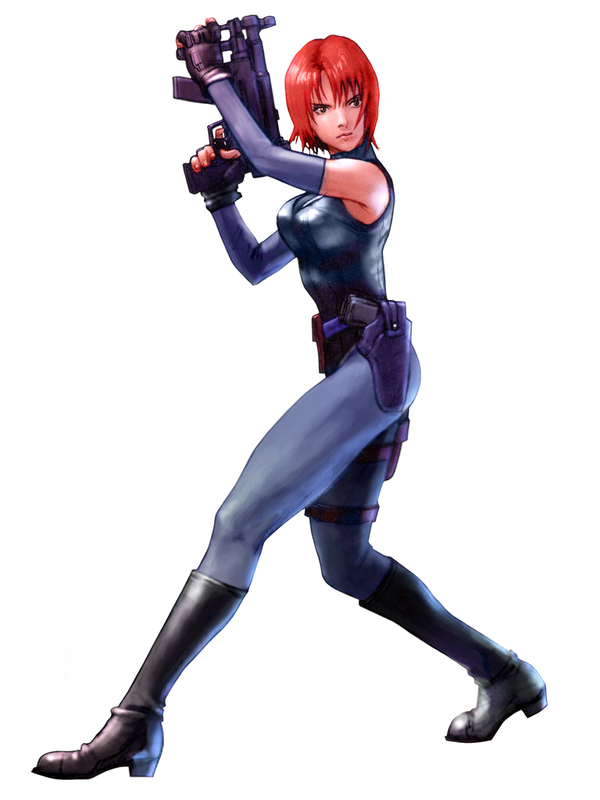 He came into the spotlight with his character artwork in The King of Fighters '99, giving the series a fresh and vibrant art style. 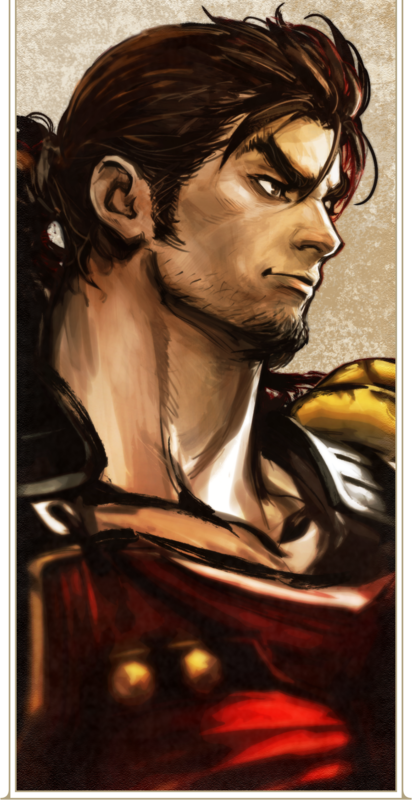 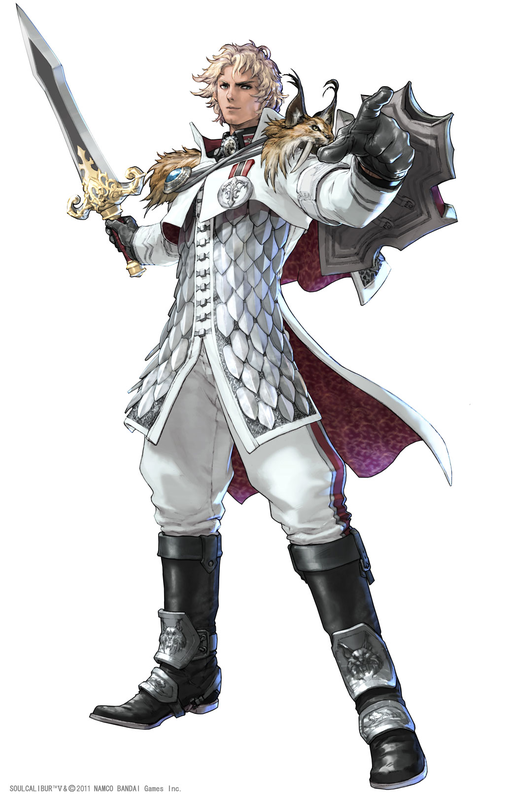 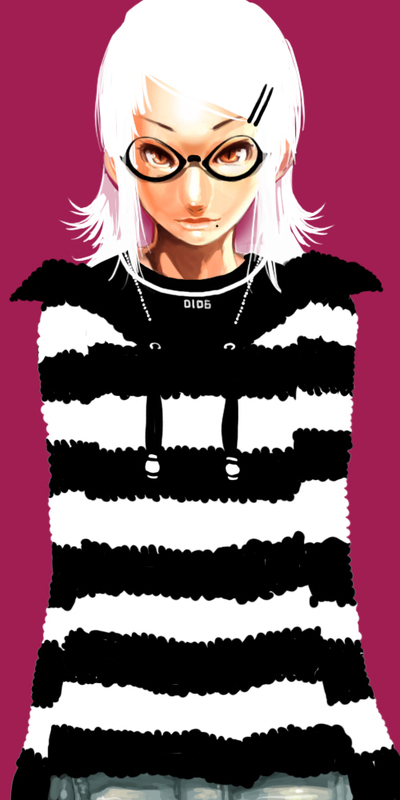 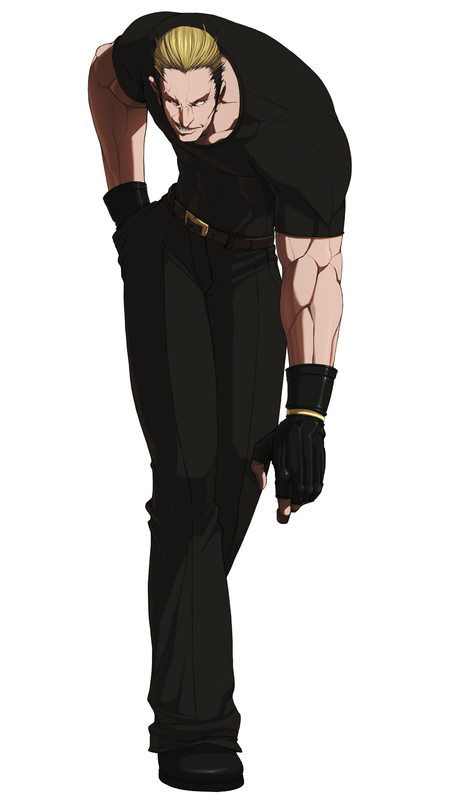 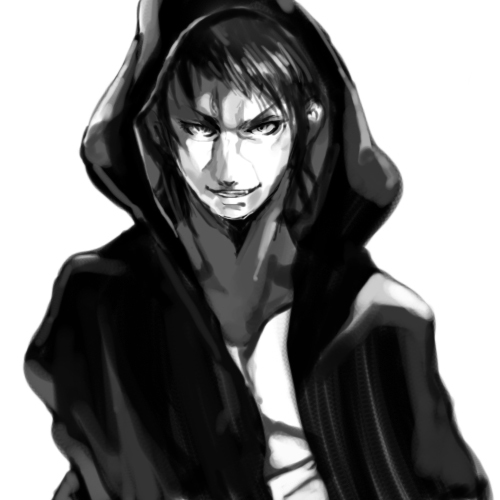 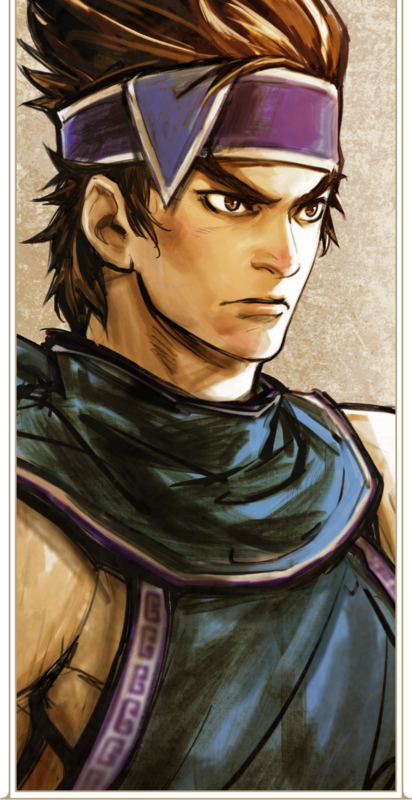 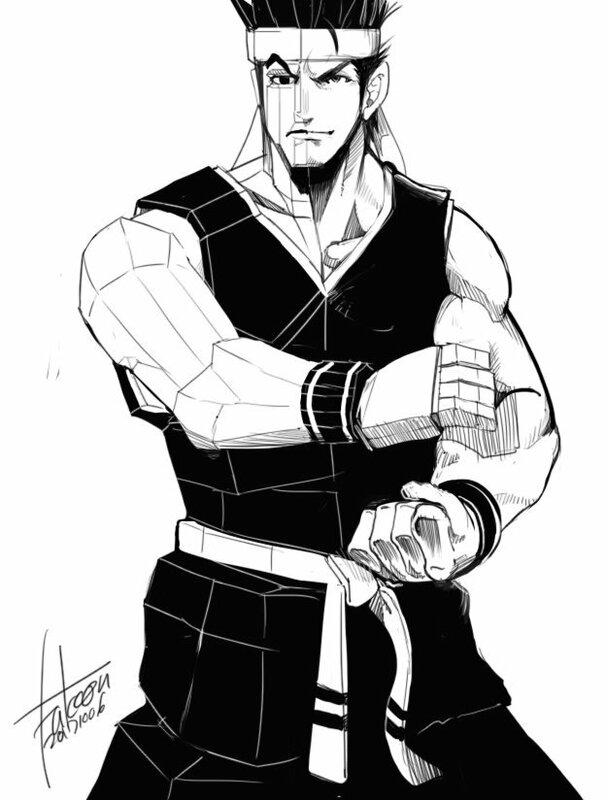 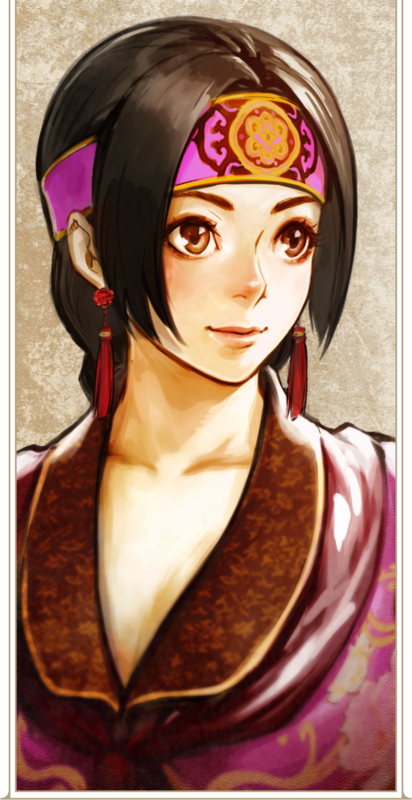 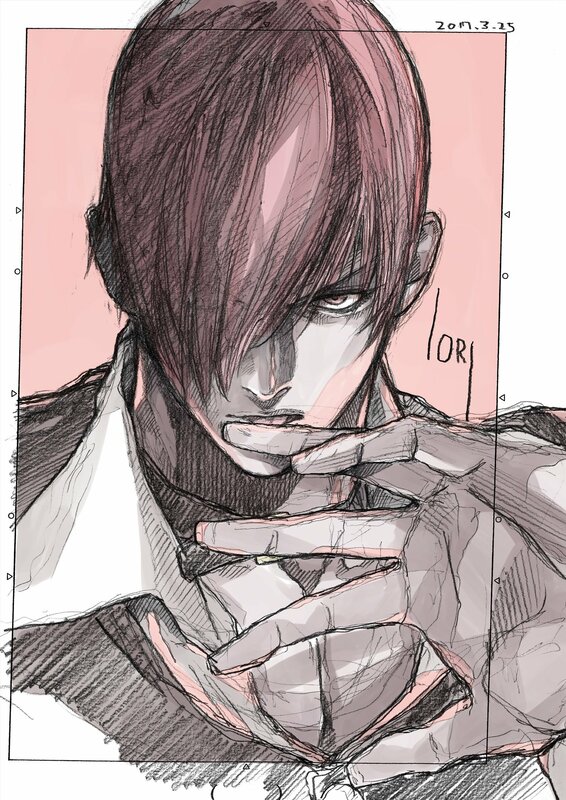 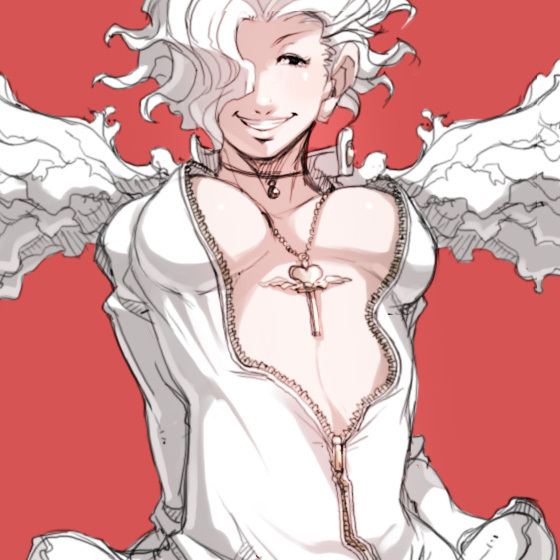 Hiroaki also become well know for his character art in Buriki One, KOF XI, KOF XII, and KOF XIV. 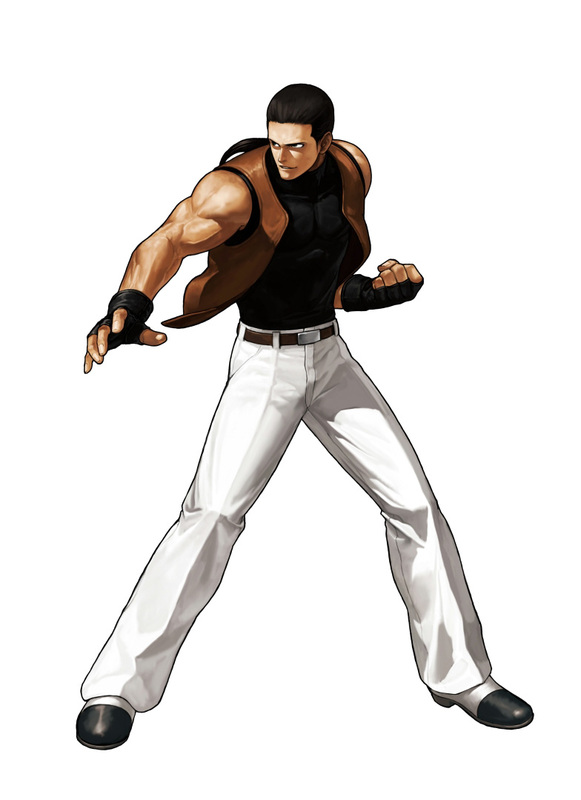 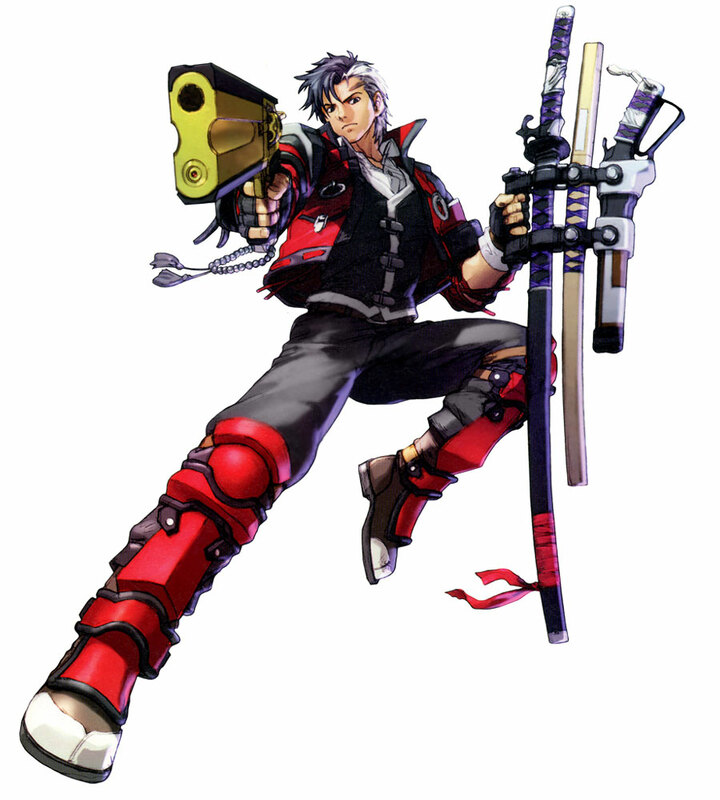 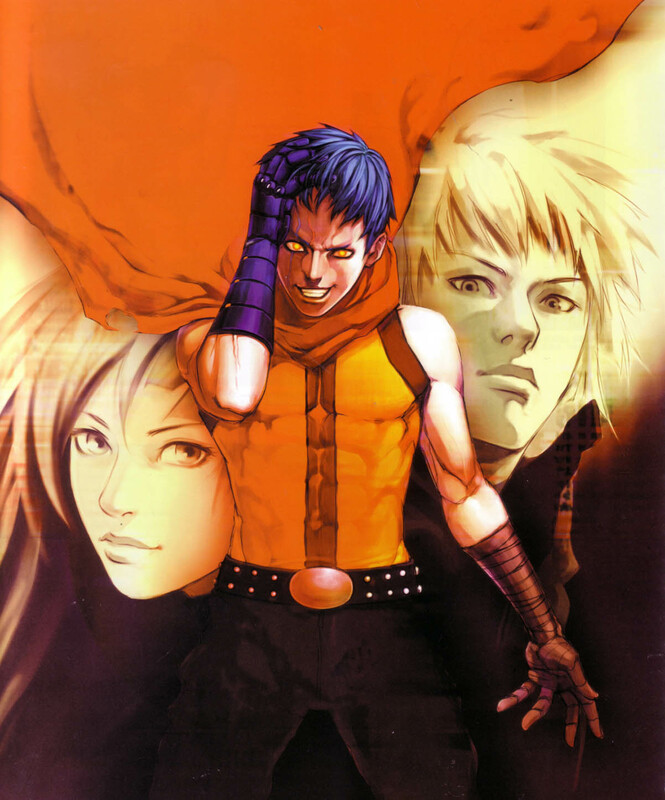 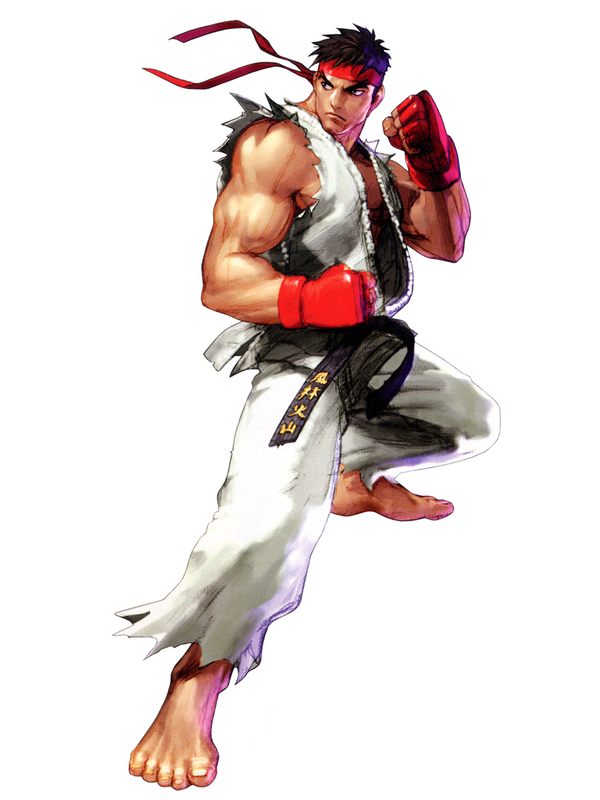 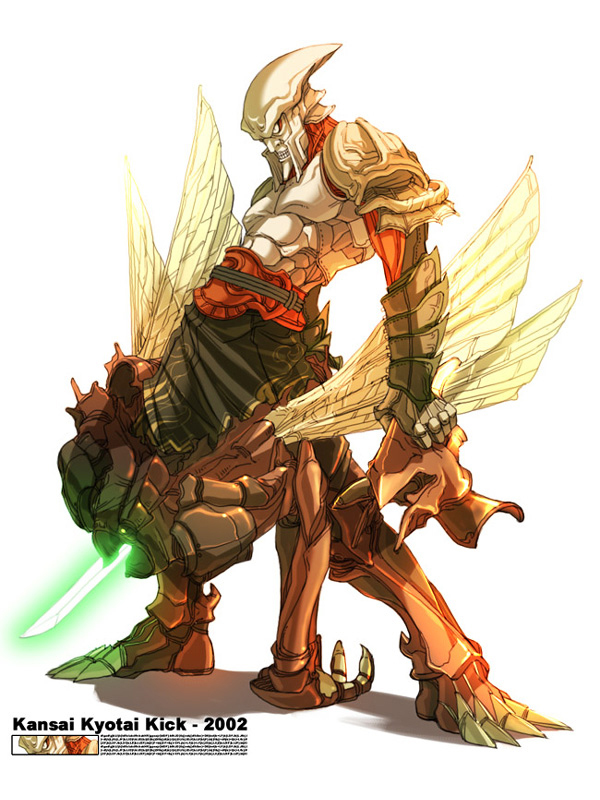 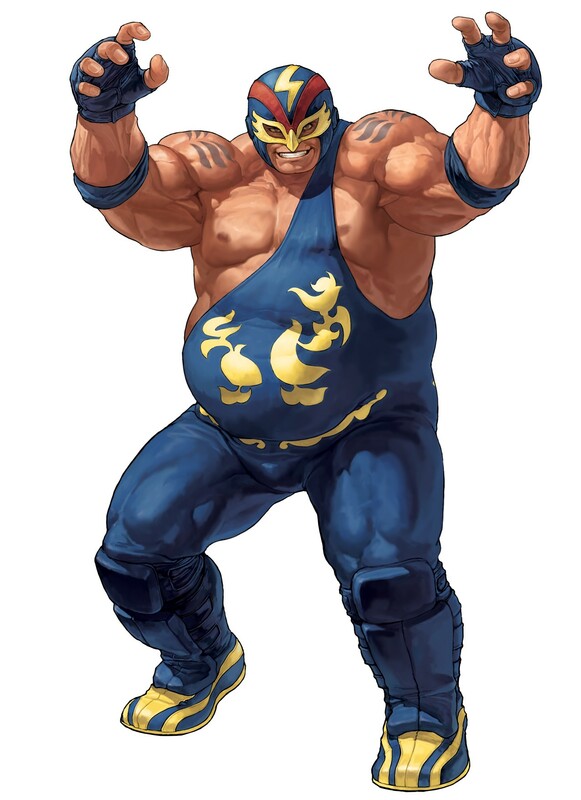 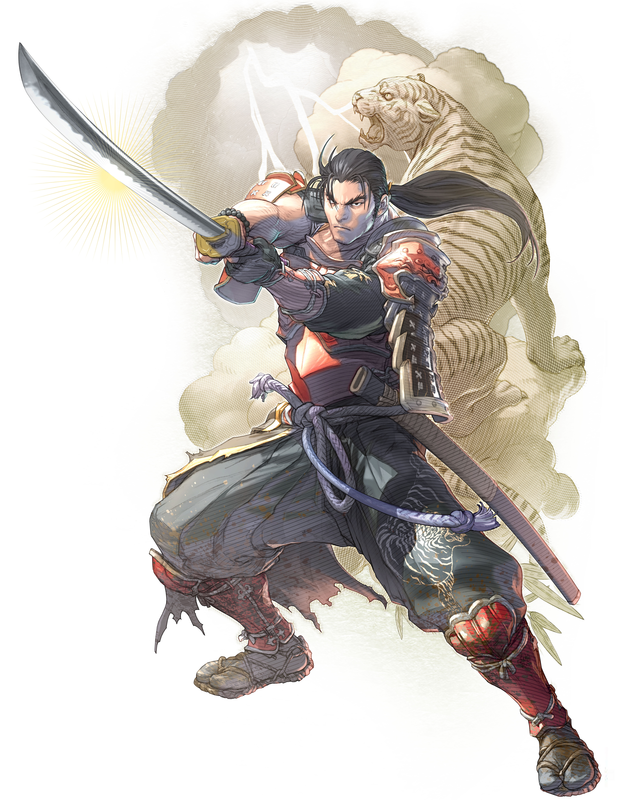 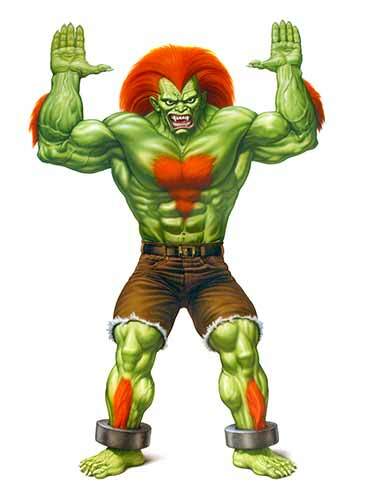 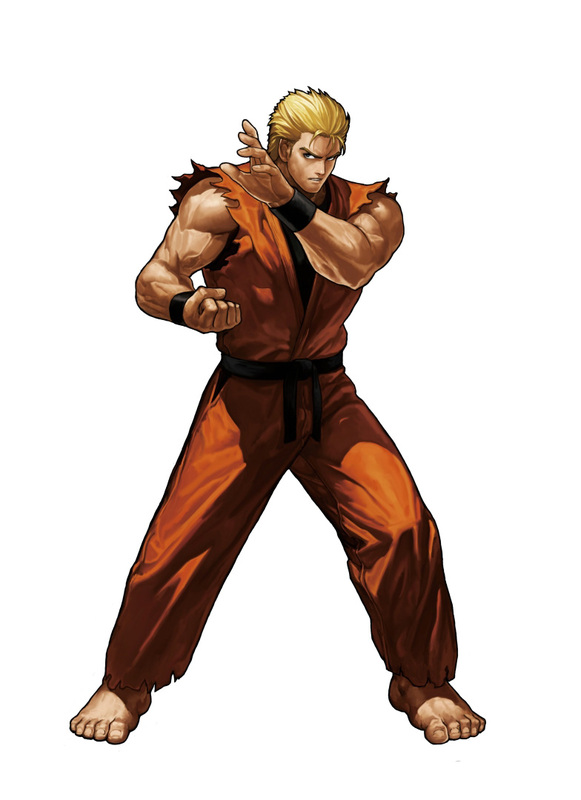 He was considered by many at SNK to be the "protege" of Shinkiro. 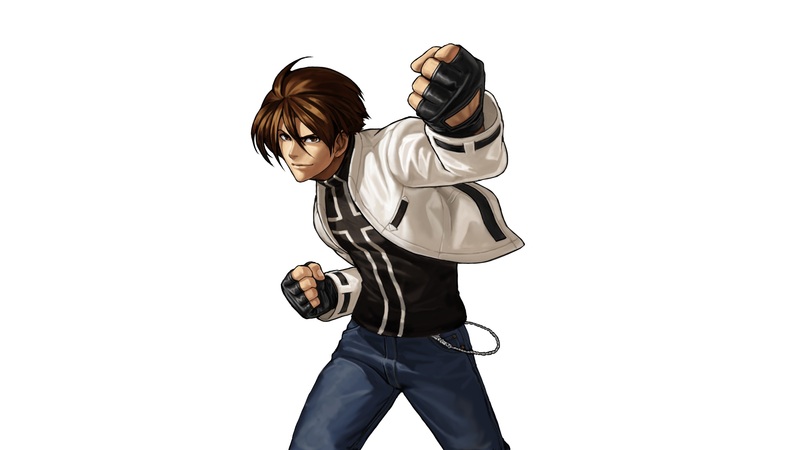 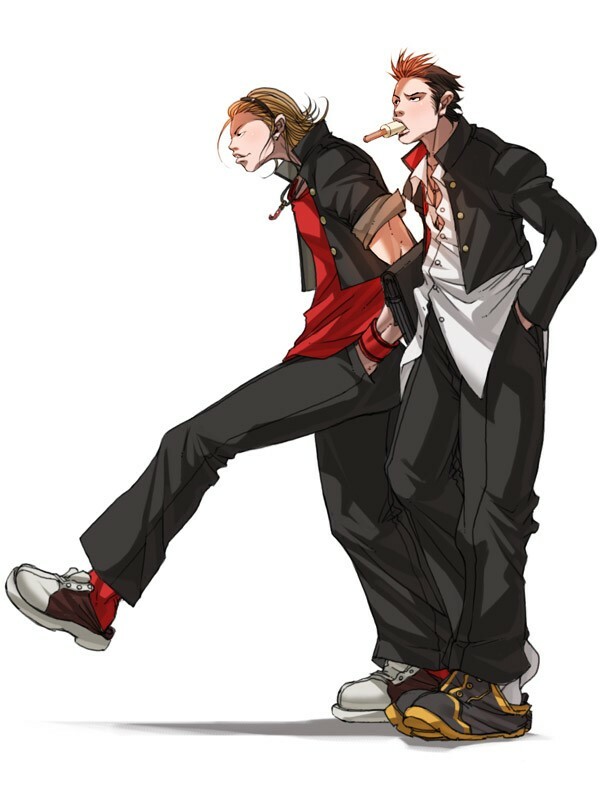 In an interview, Hiroaki said his biggest pressure for KOF is "matching" Shinkiro's quality. 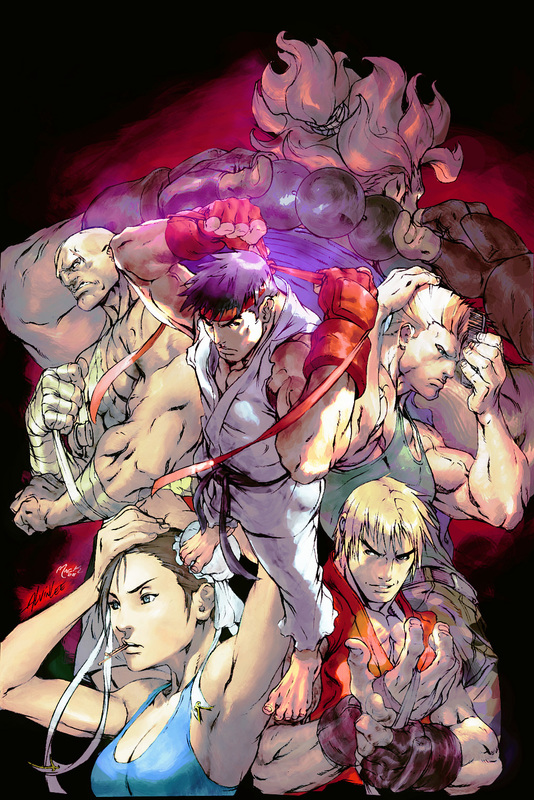 Hiroaki also created this amazing Street Fighter: 25th tribute artwork (below). 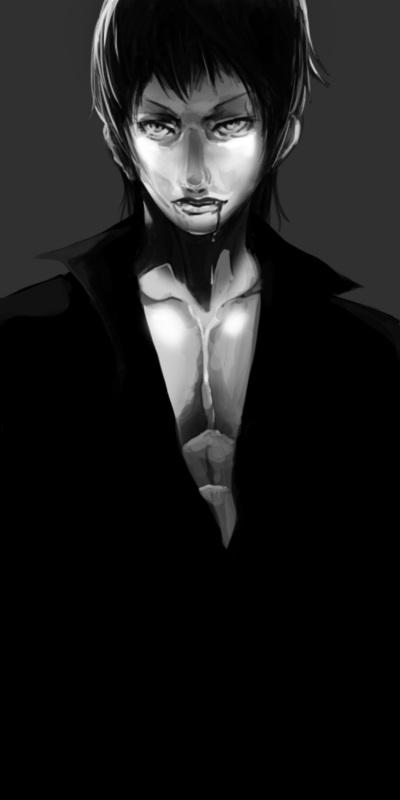 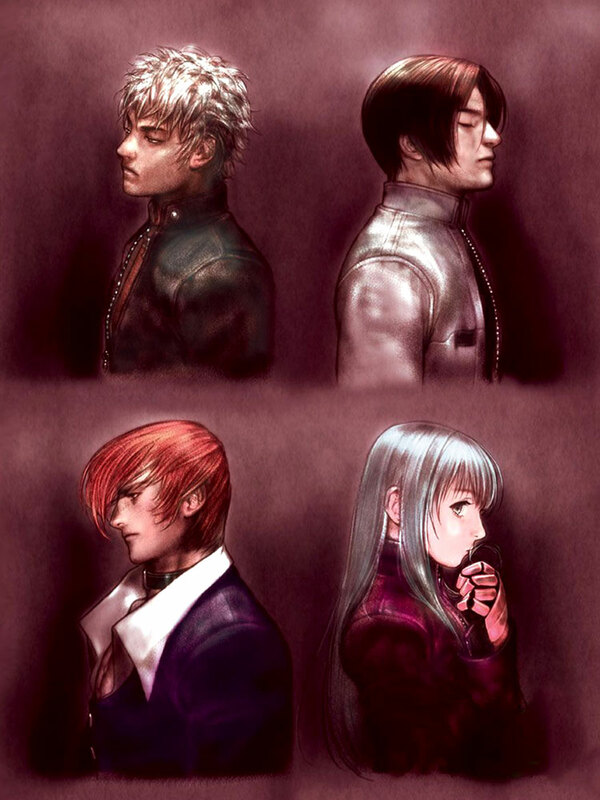 Hiroaki's naturally proportioned characters are complimented by realistic "oil painting style" of coloring and dark lines. 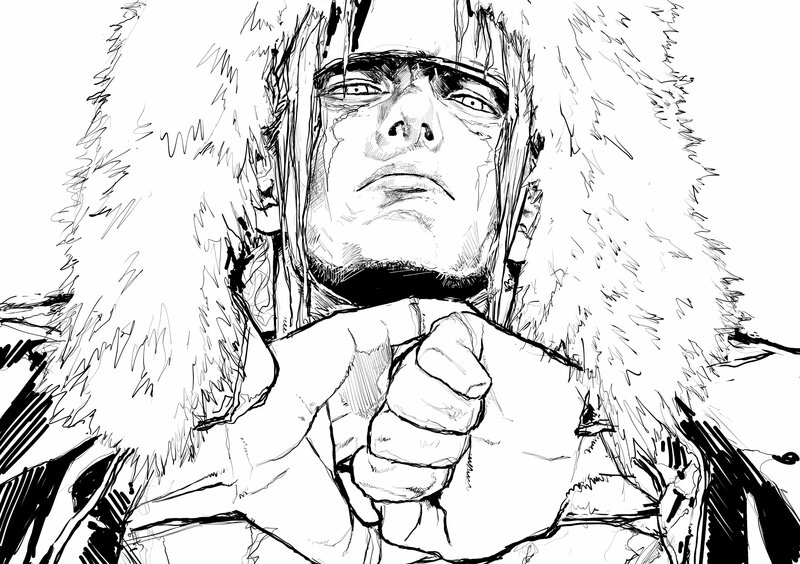 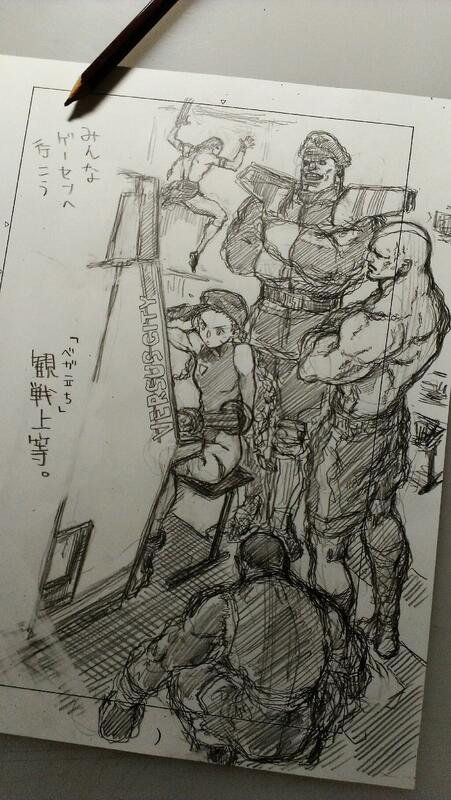 He draws characters in "confident and daring" poses so fans of the characters feel proud to use them. 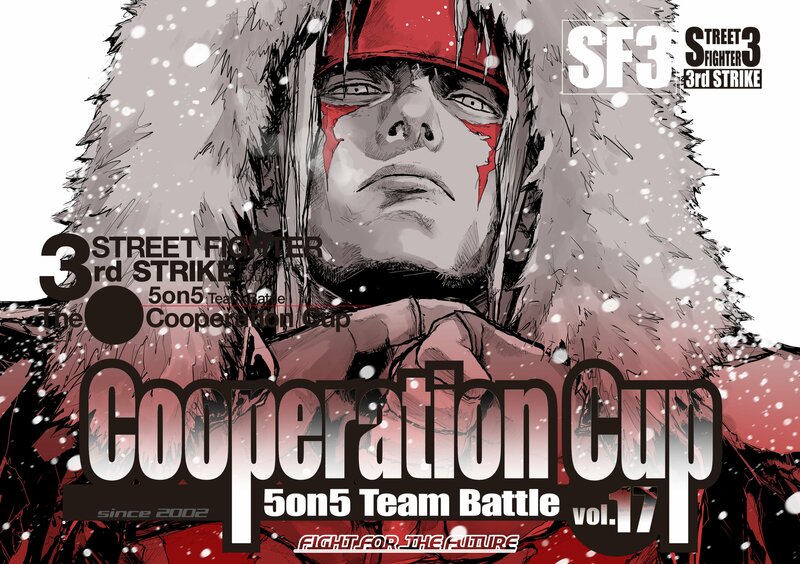 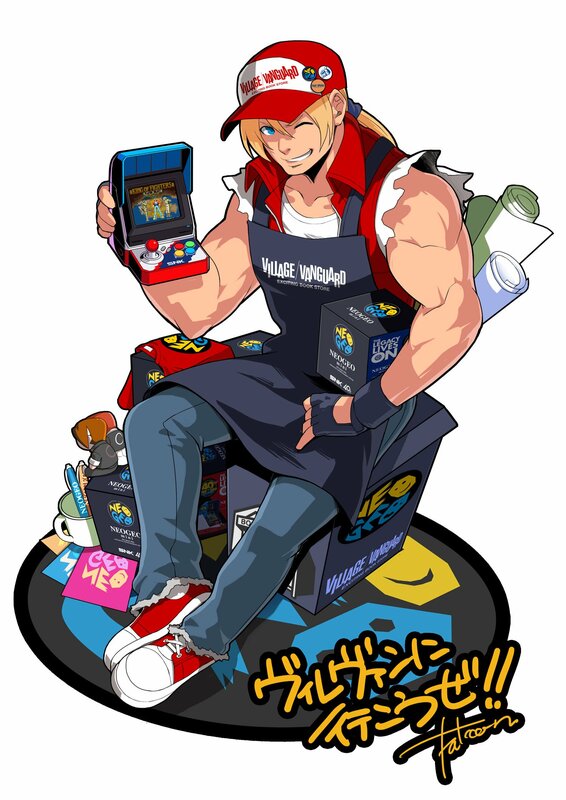 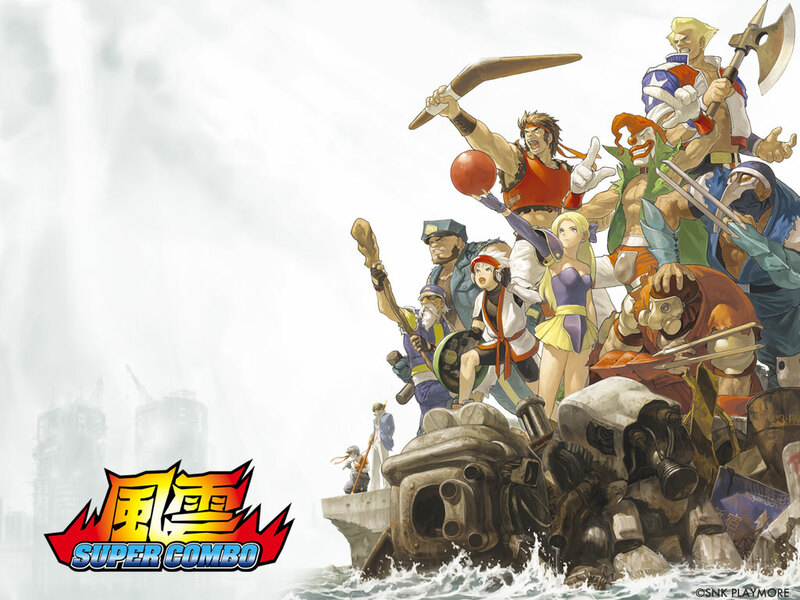 Hiroaki worked on a variety of covers, posters, and other promotional artwork for games such as: Neo Geo Battle Coliseum, SNK Vs. Capcom: Card Fighters Clash (2/DS), Garou: Mark of the Wolves, Metal Slug Attack, and Uppers. 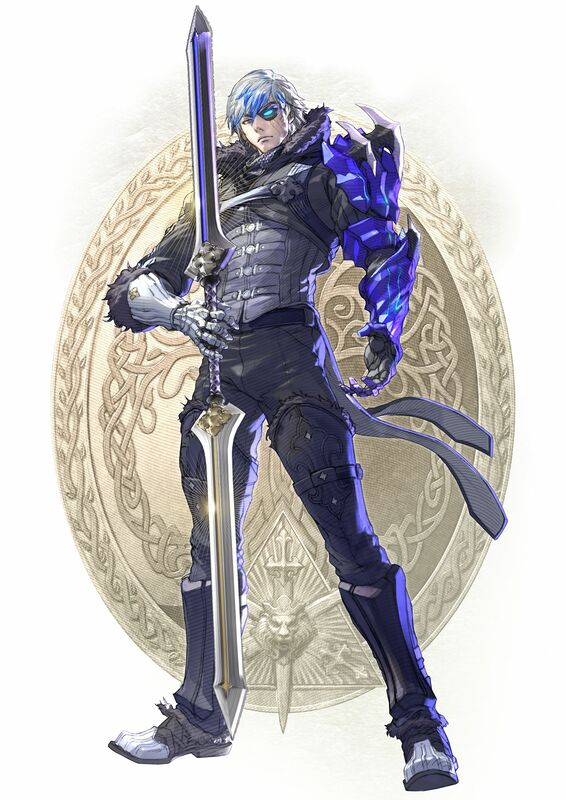 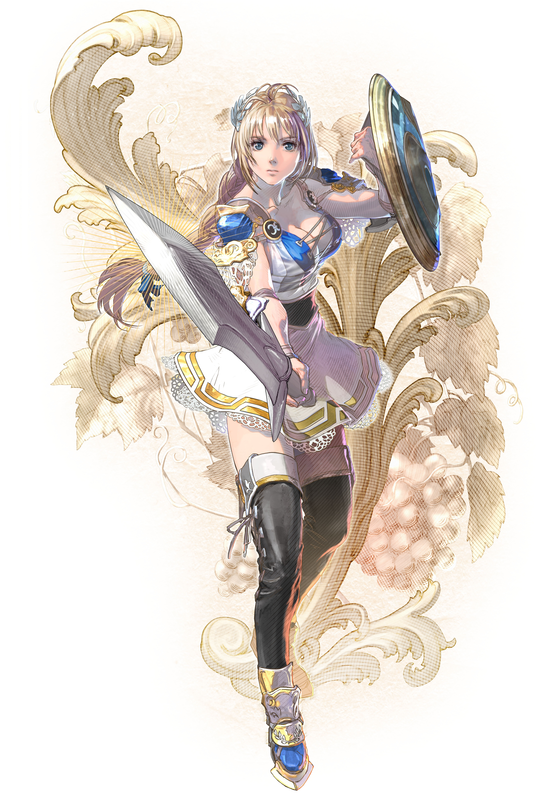 In 2018, Hiroaki worked with Bandai Namco to illustrate Soul Calibur VI story artwork (pictured above). 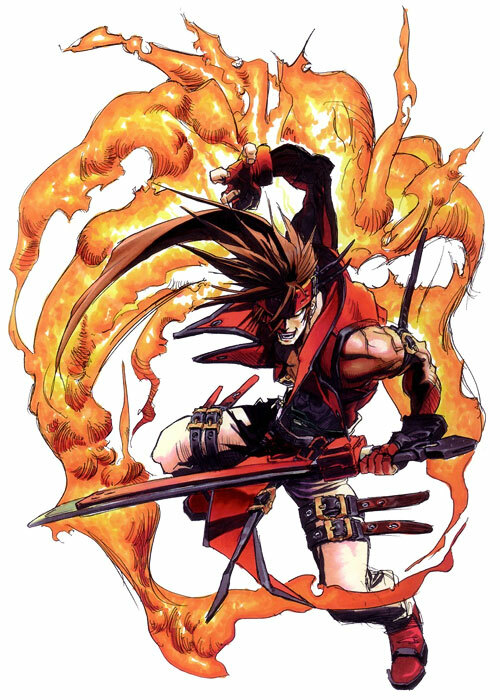 Daisuke Ishiwarari is the multi-talented creator of the long-running 2D fighting game series, Guilty Gear. 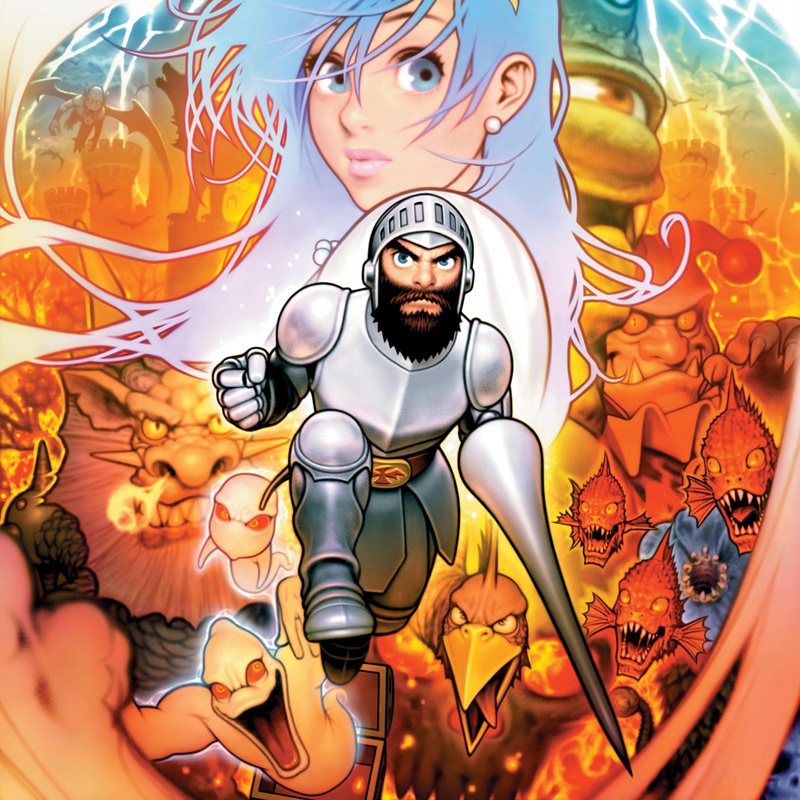 He designed the characters, wrote the storyline, drew much of the artwork, and even composed the music! 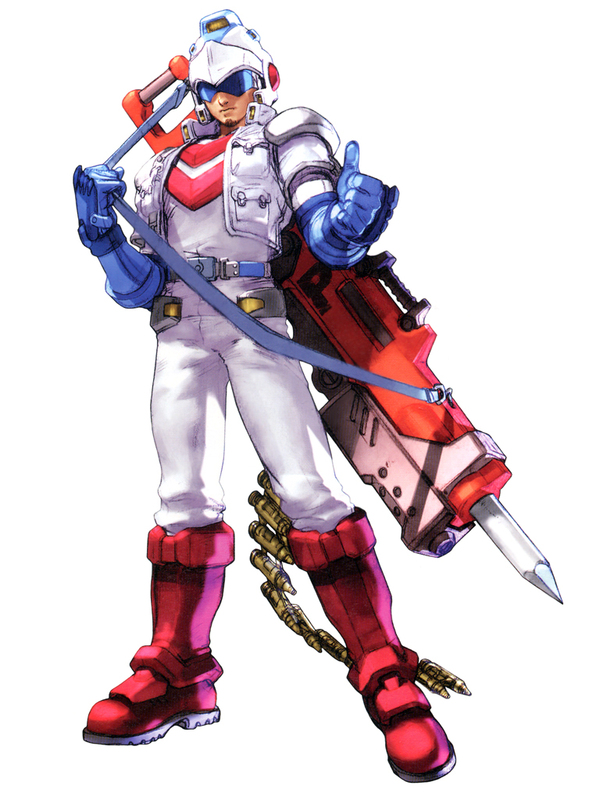 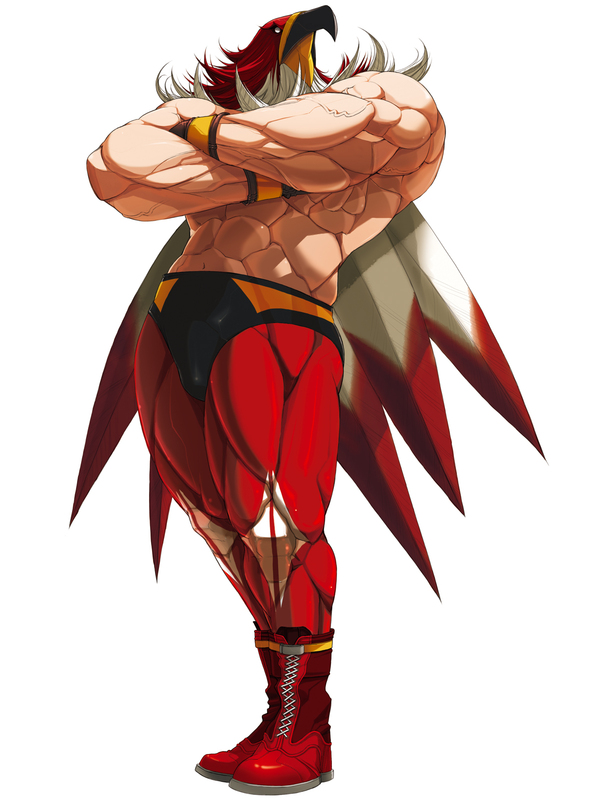 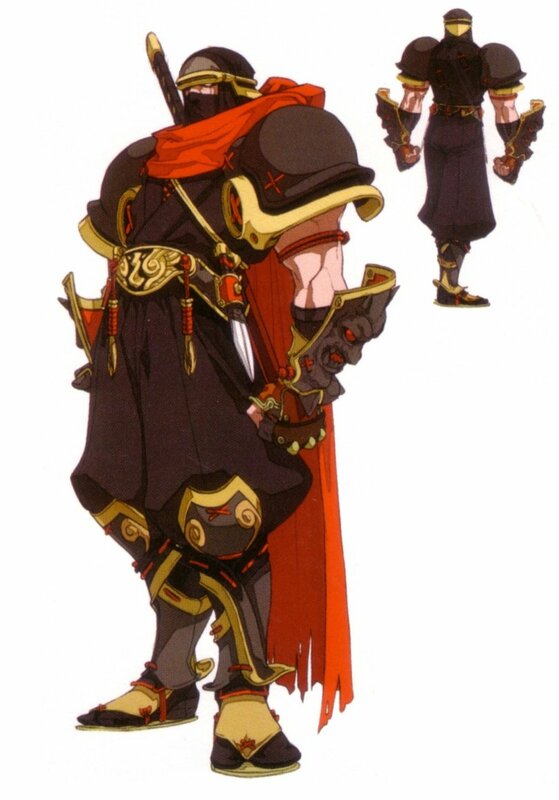 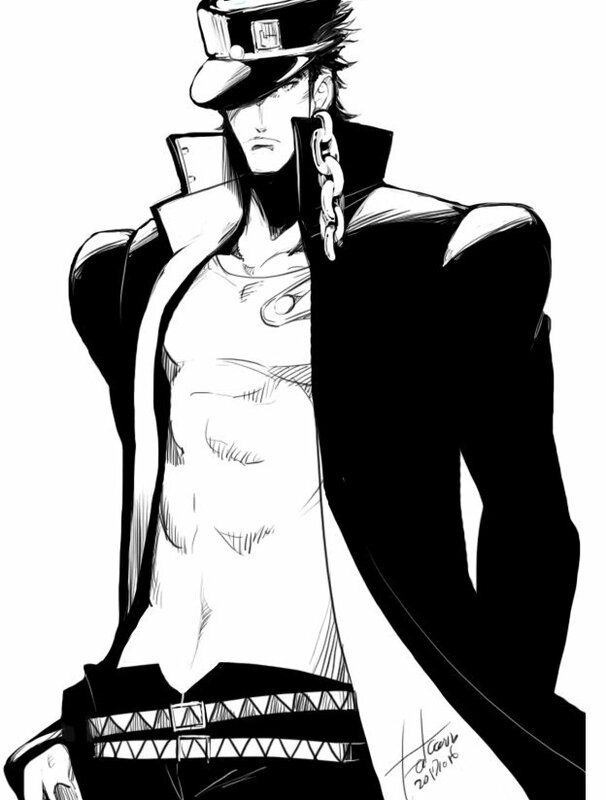 He also did some in-game voice acting for Sol Badguy and Holy Order Sol. 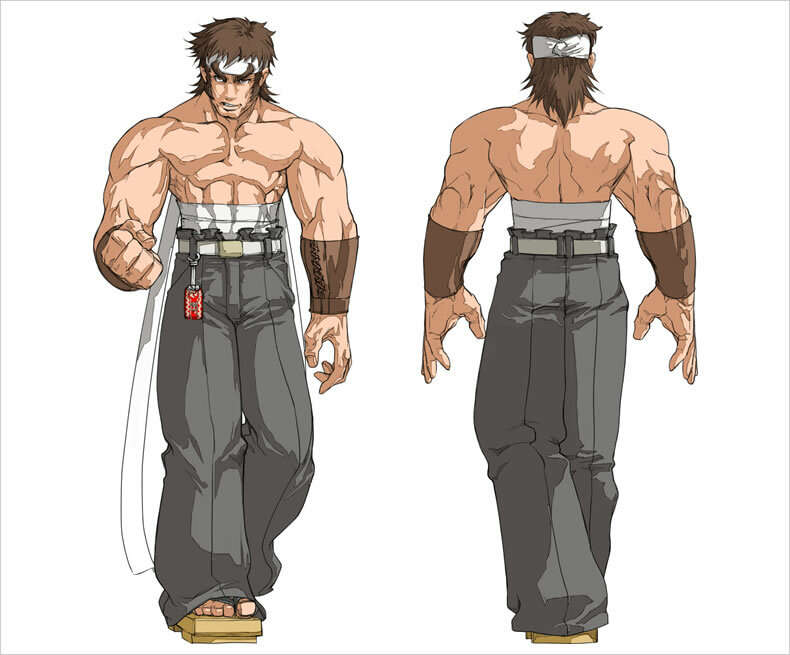 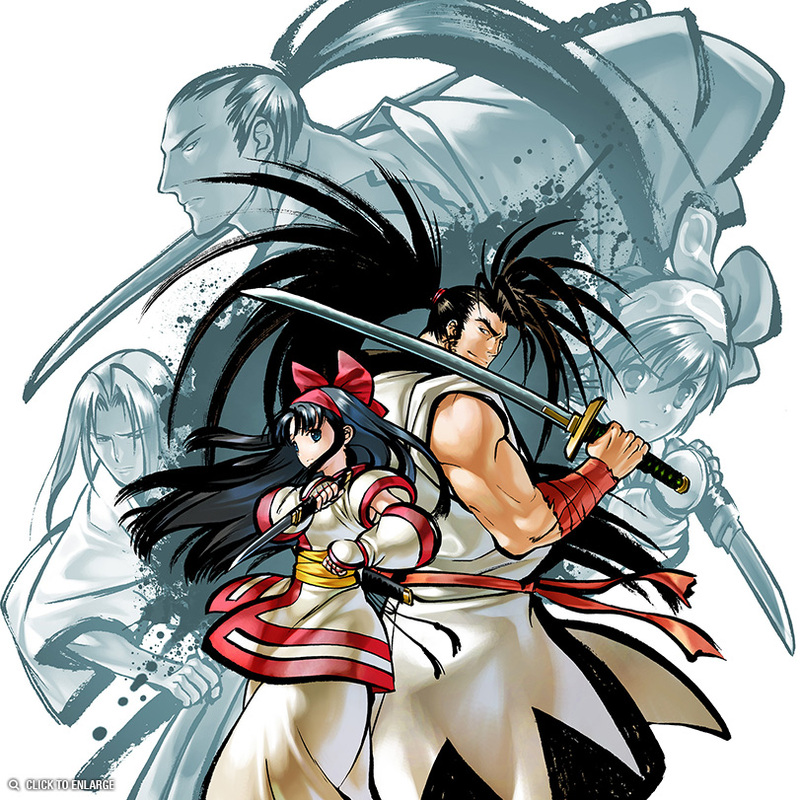 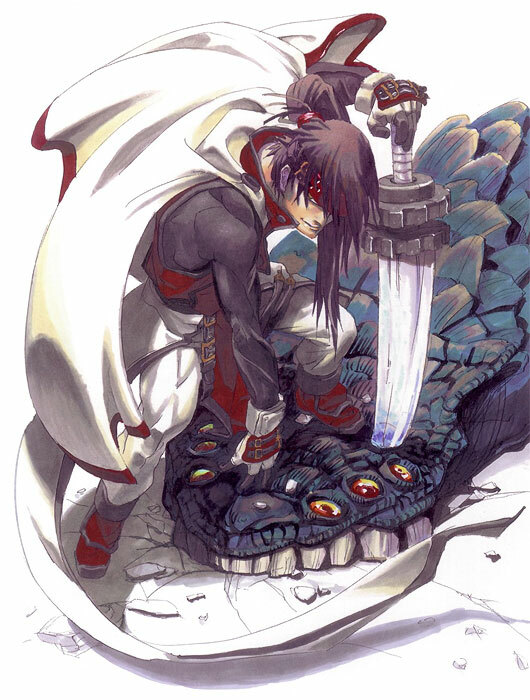 Daisuke previously worked as a designer for SNK, working only on one game: The Last Blade. 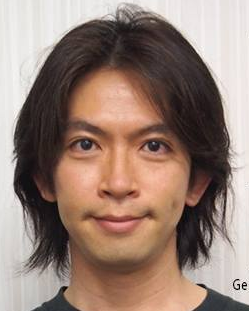 Daisuke Ishiwatari is noted as being a "highly skilled" composer in the metal and rock genres. 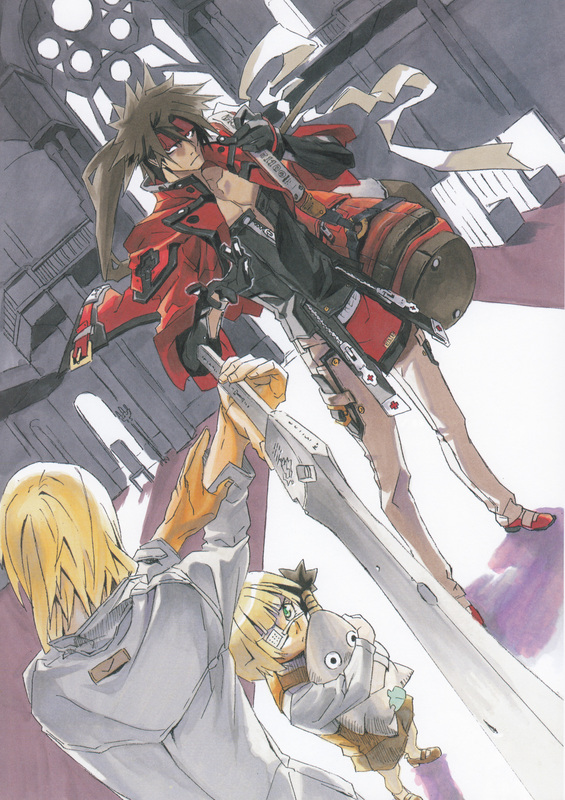 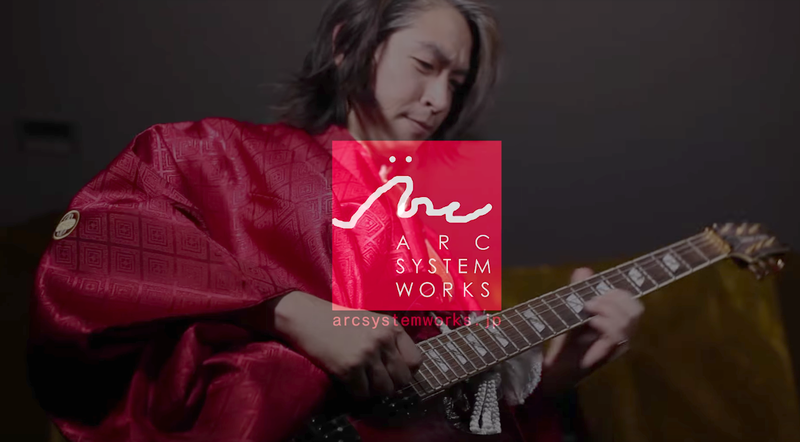 His compositions in his signature Guilty Gear contain very intricate guitar work. 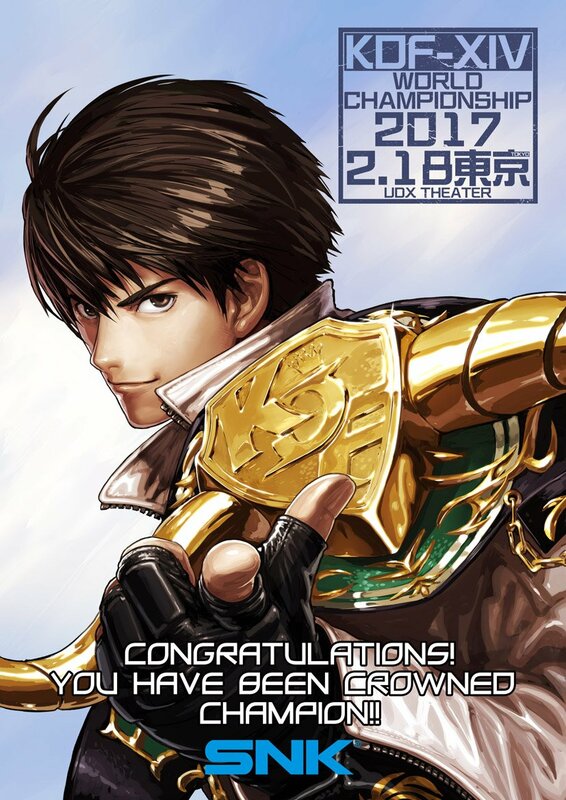 Takuji Kawano is Namco's premier 2D artist. 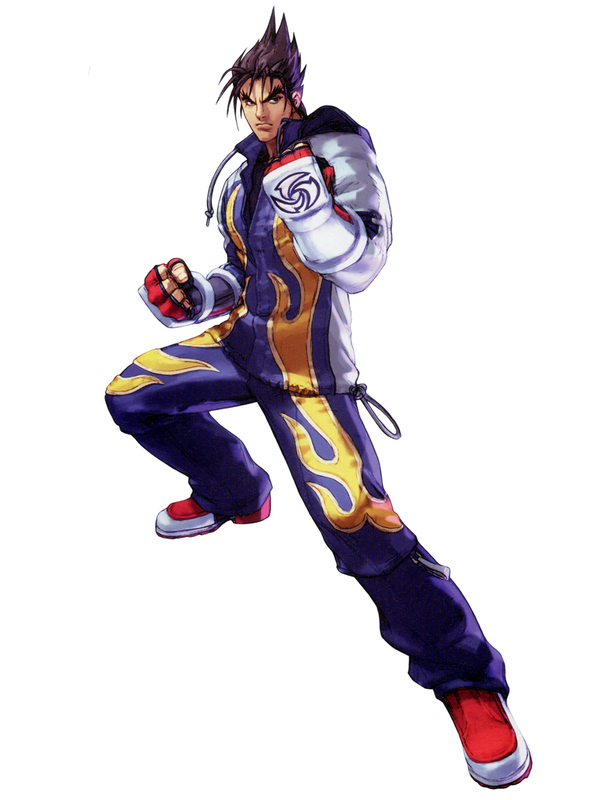 He was a character designer for TEKKEN 3, TEKKEN 4, TEKKEN Tag Tournament and Urban Reign. 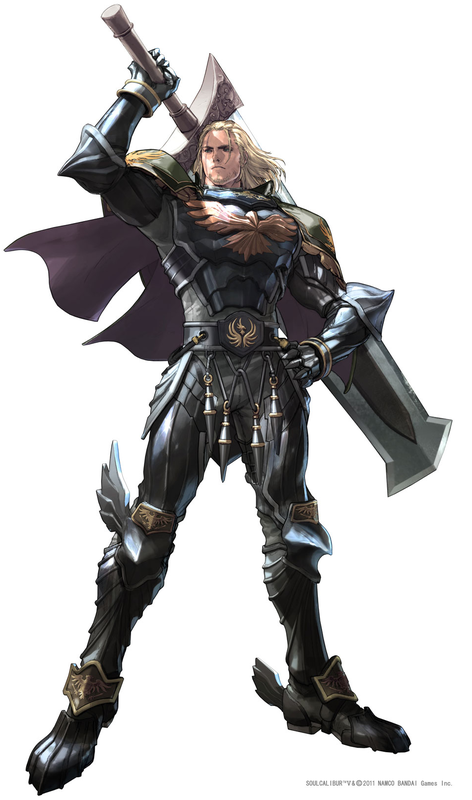 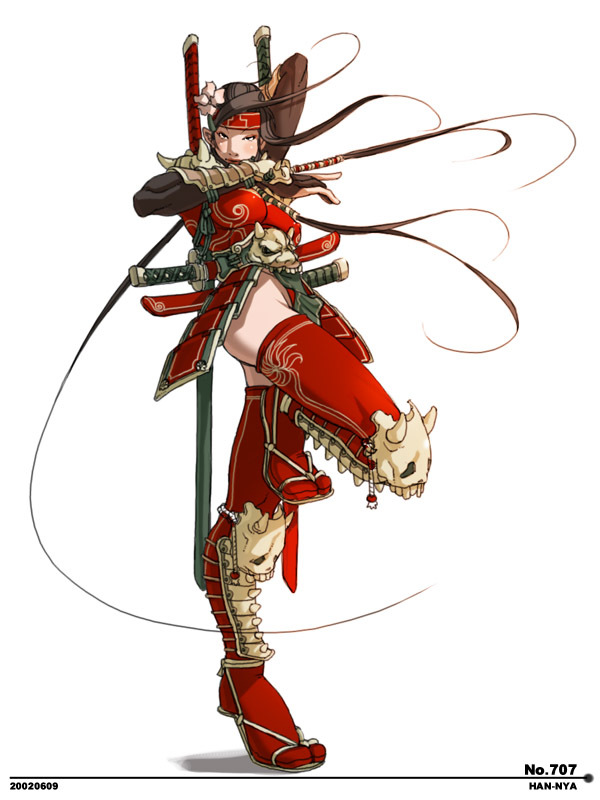 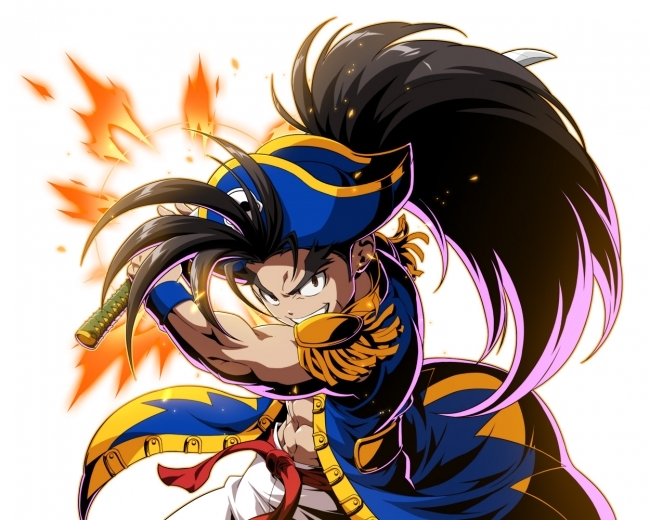 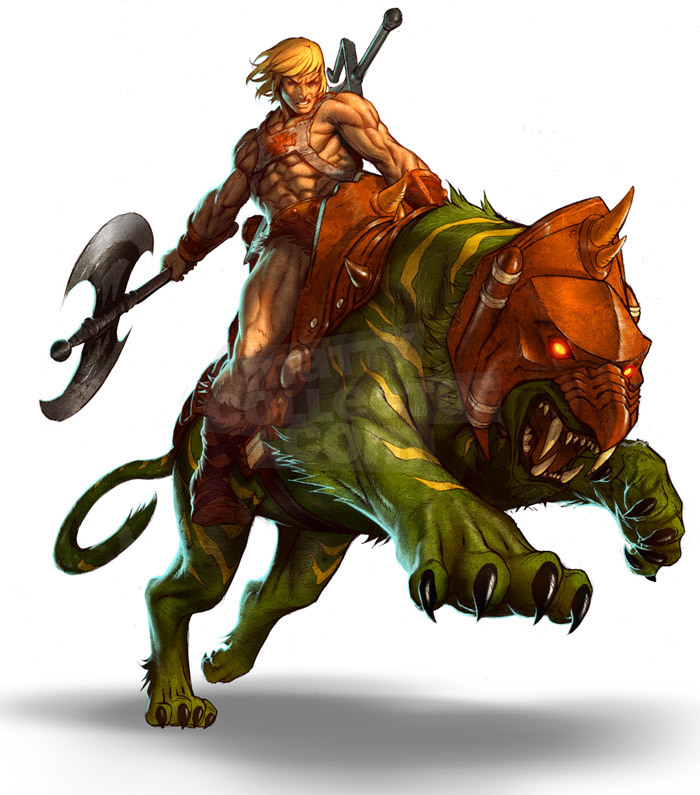 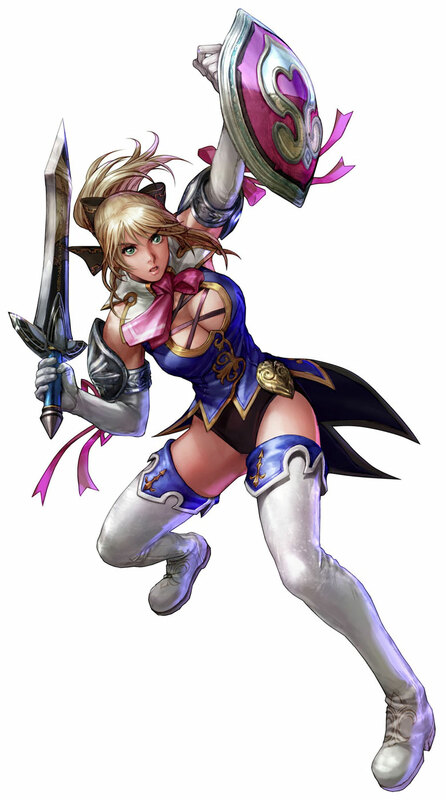 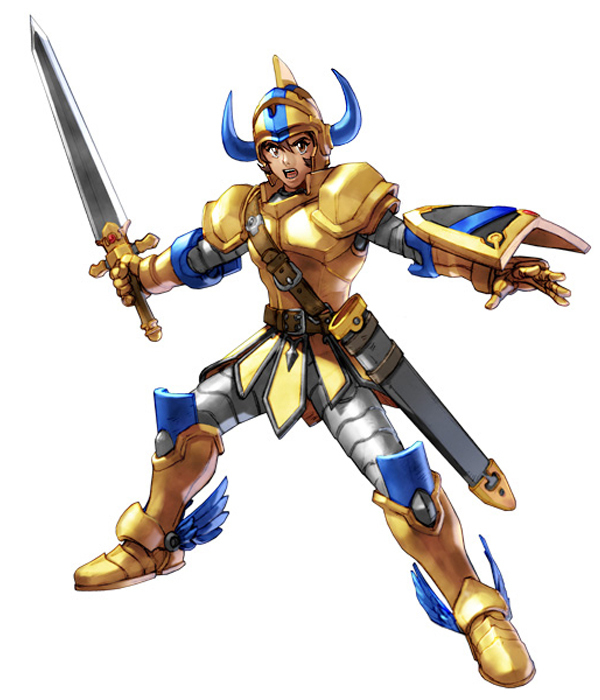 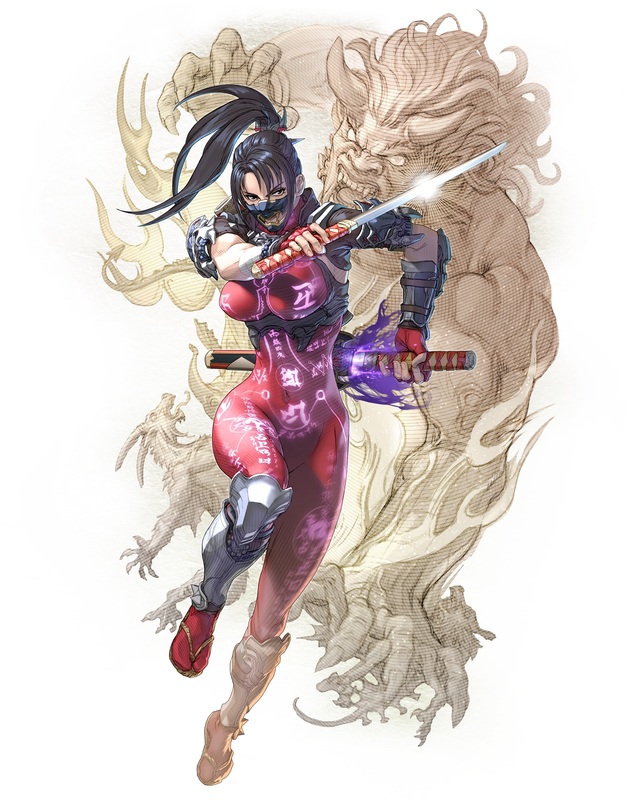 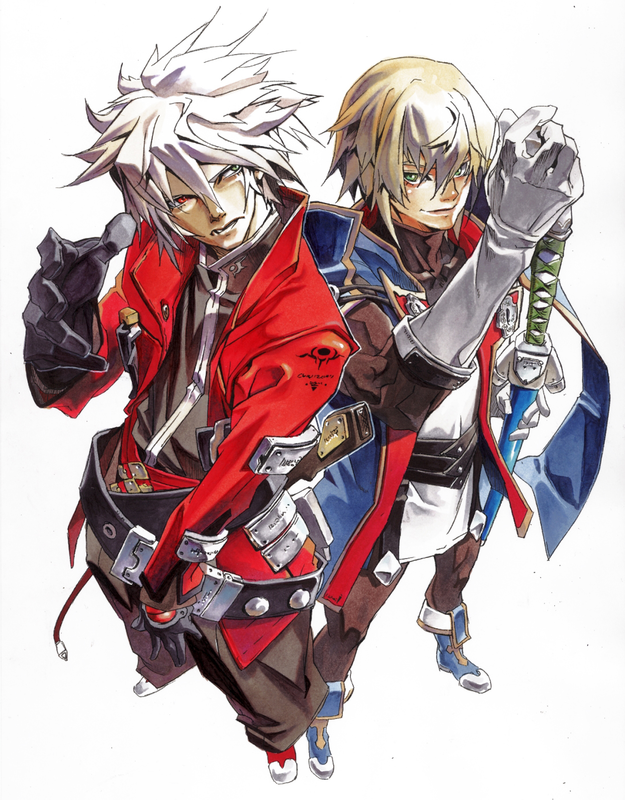 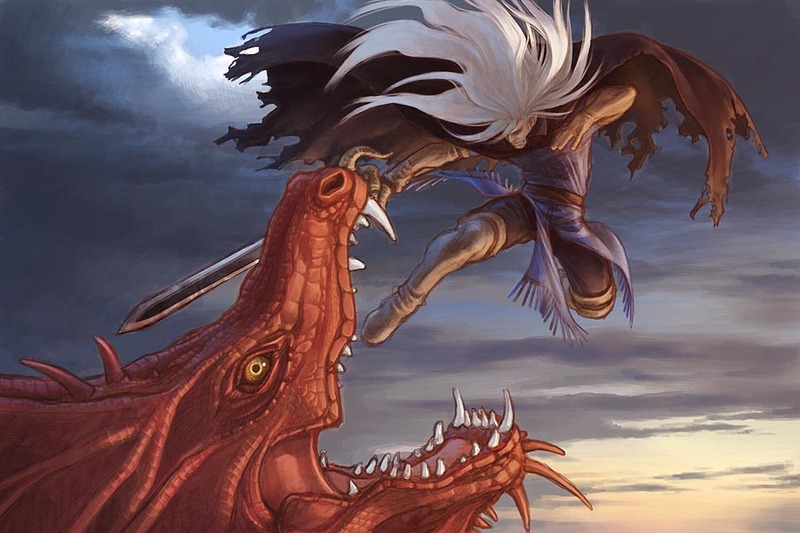 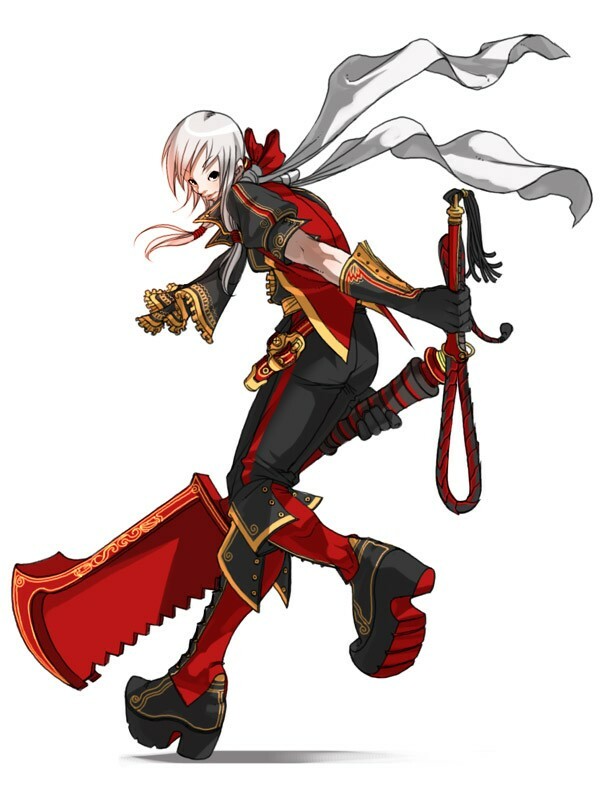 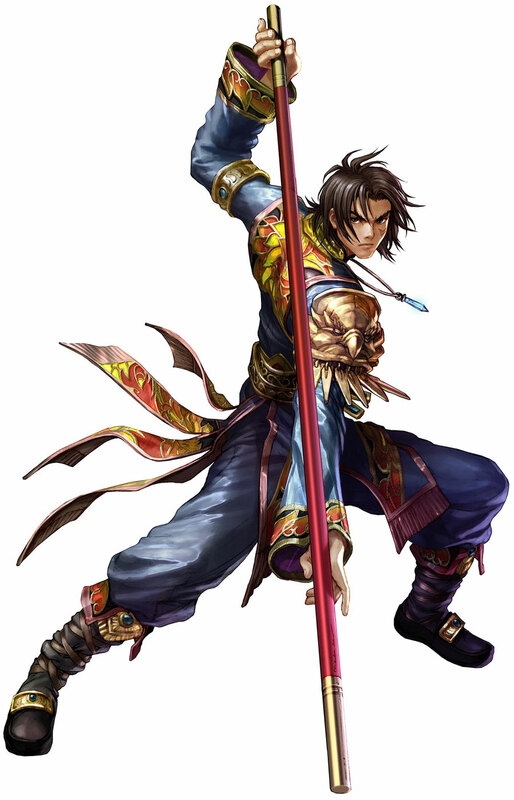 He's also well known for his vibrant character artworks for titles such as Namco X Capcom, Soul Calibur 2, Soul Calibur 3, Soul Calibur 4, Soul Calibur 5, and Soul Calibur 6. 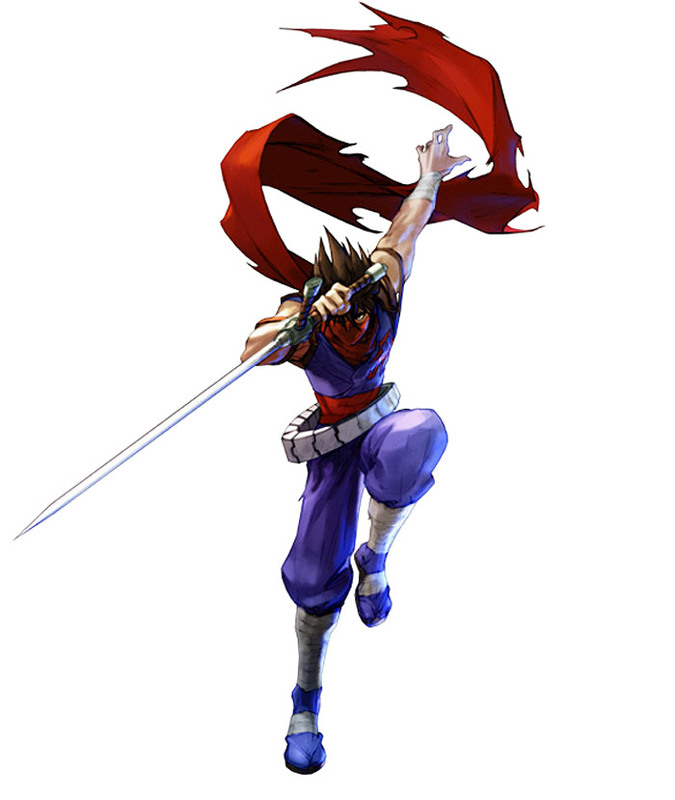 Kawano has a dynamic sense for proportion and posing, as the characters he draws are always in cool poses amazingly detailed from head to toe. 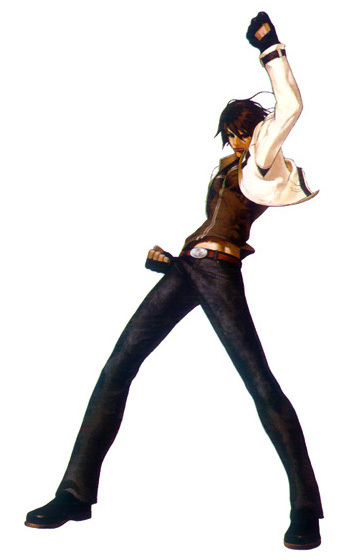 He also captures clothing and "movement" with apparent ease. 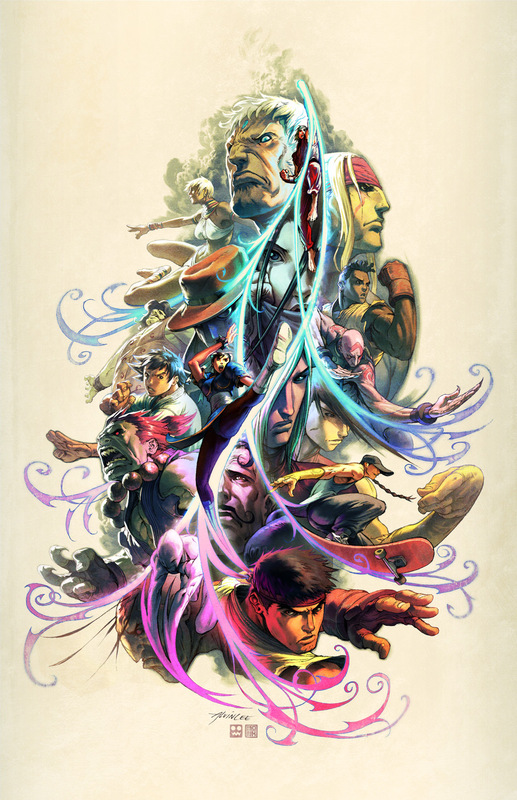 Through his artwork, he has defined and brilliantly captured the personality of all of Namco's most famous fighting game characters, as well as a handful Capcom characters and other popular video game icons. 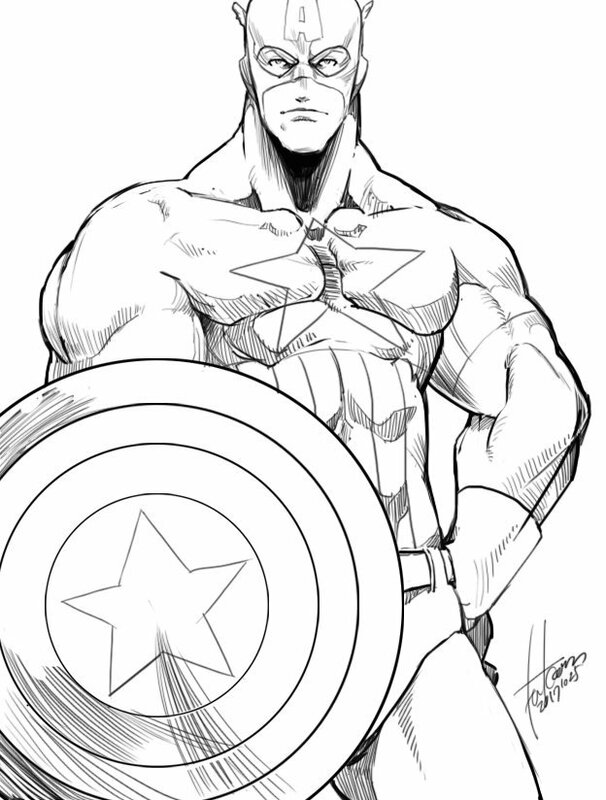 I'm convinced he can draw pretty much any character and make them look spectacular. 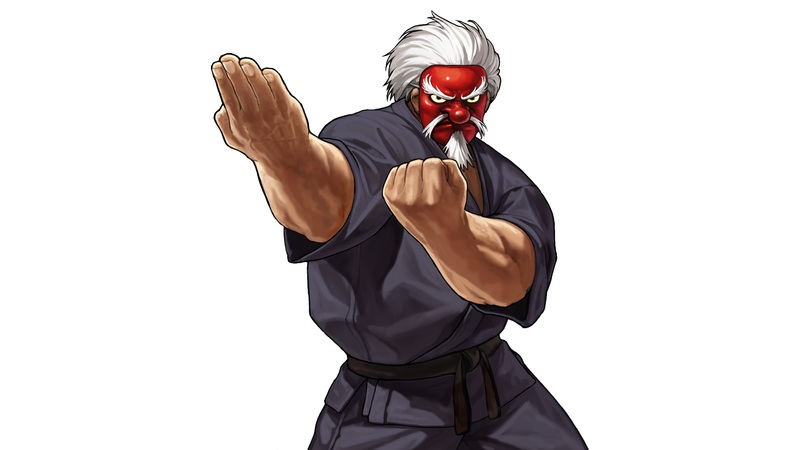 Kawano-san even made the original Dug Dug (1982) hero look like a badass! 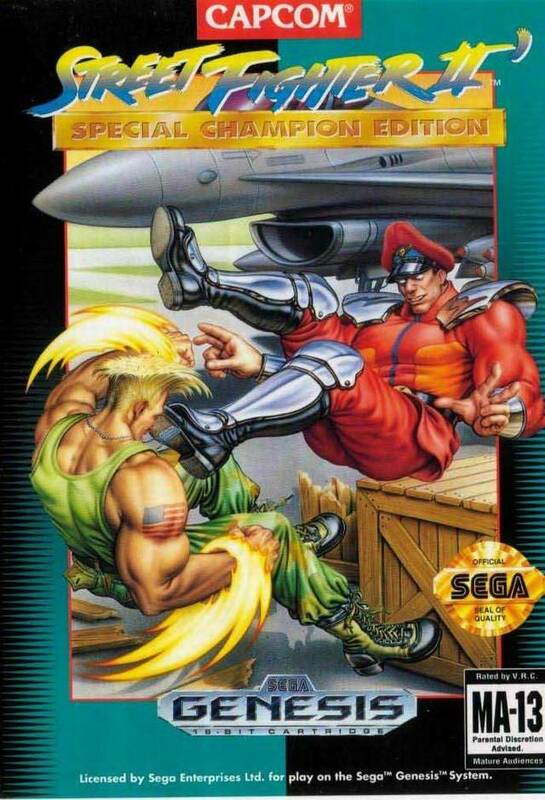 One of my all-time favorites, for sure! 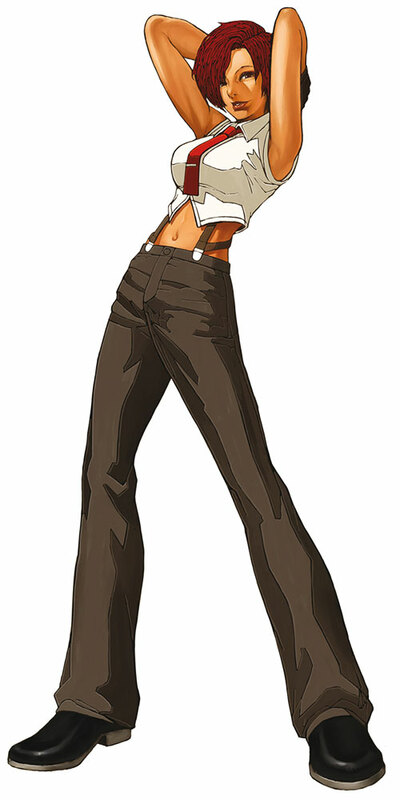 Eisuke Ogura began working for SNK in 1996. 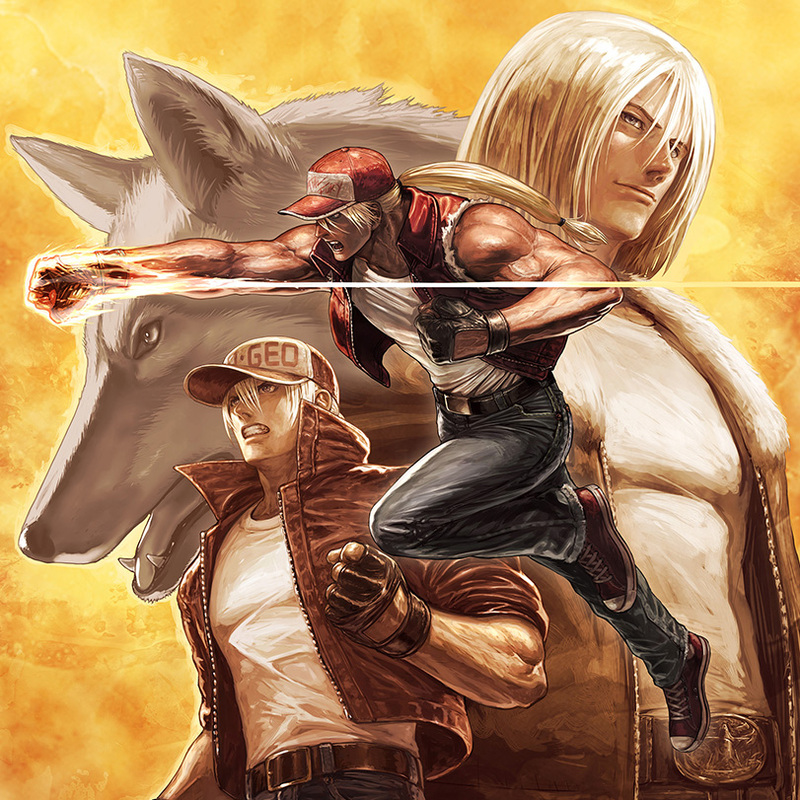 Ogura was the main character illustrator for Neo Geo Battle Coliseum and the Fatal Fury 15th anniversary special Garou Densetsu ~ Memories of Stray Wolves. 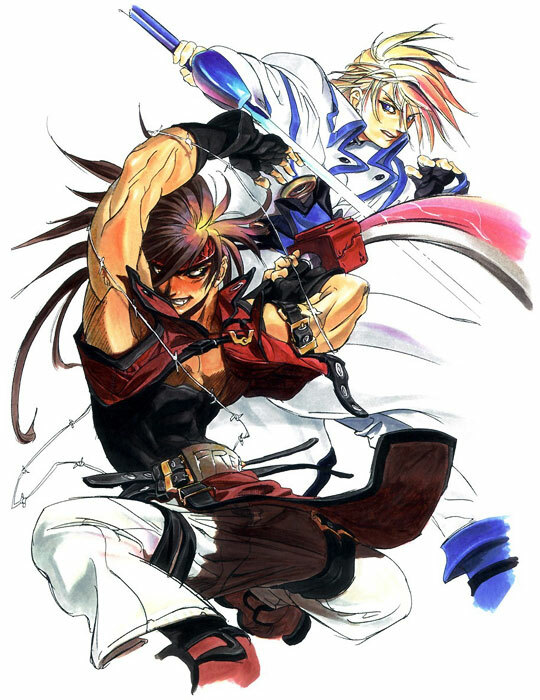 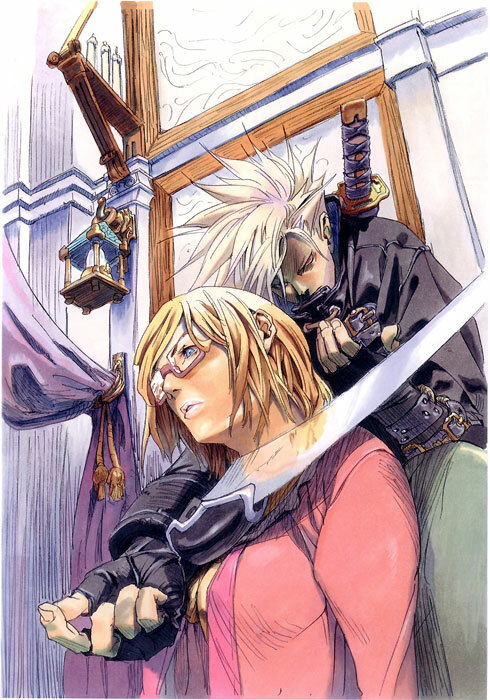 He also drew character artwork and key illustrations for The King of Fighters XI, XII, XIII, XIV, SNK Vs. Capcom Chaos, Card Fighters Clash DS and did cover artworks for SNK's "Anthology" re-releases for Samurai Shodown, Fatal Fury, and Art of Fighting, World Heroes, and Fu'un Super Combo. 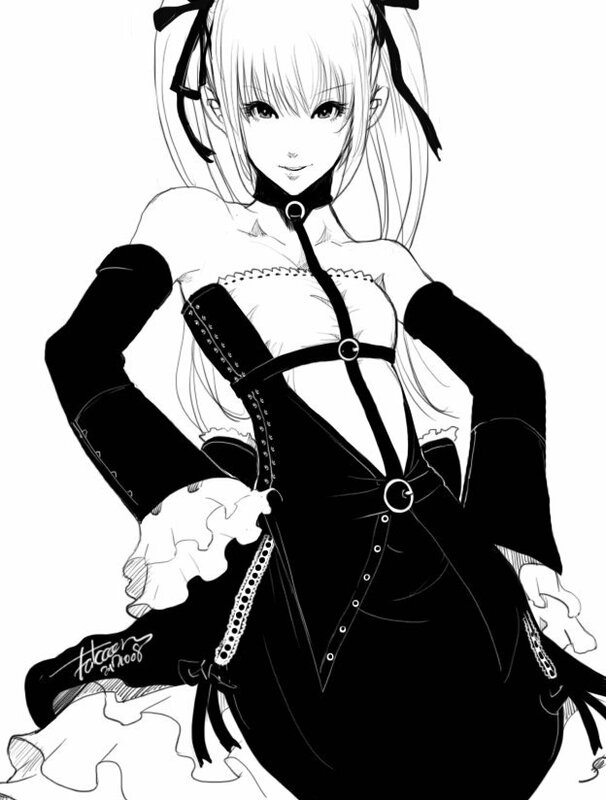 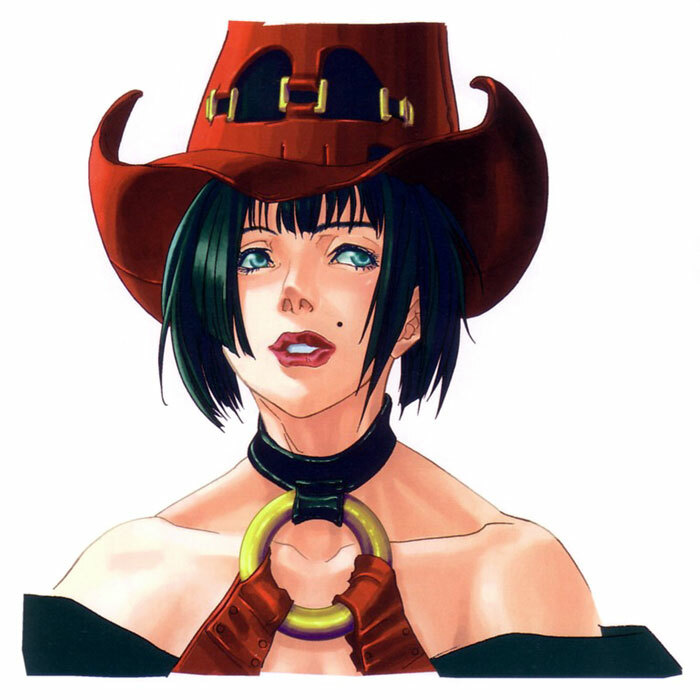 Tatsuhiko Kanaoka, better known by his pen name "Falcoon", is a Japanese artist who worked for SNK Playmore. 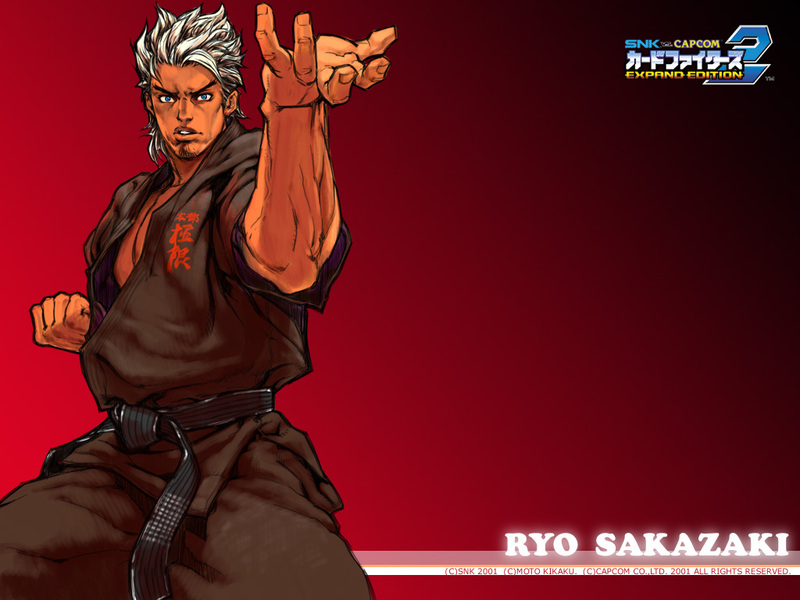 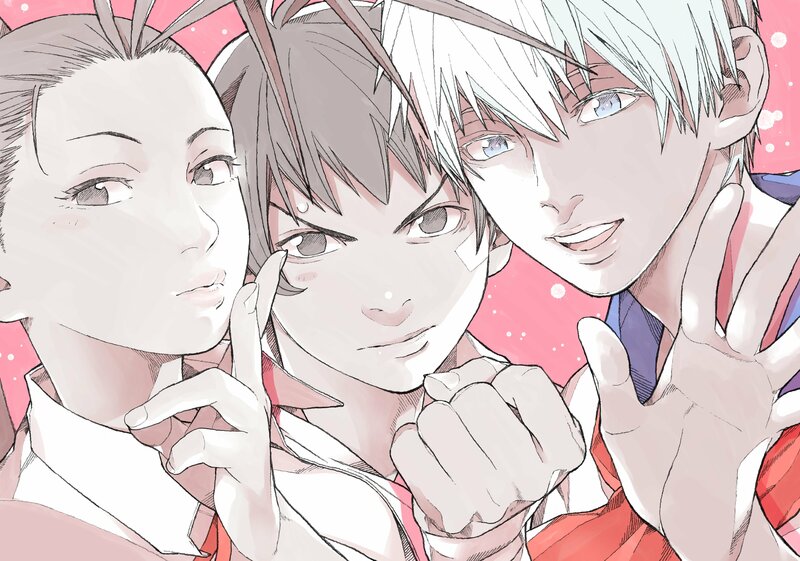 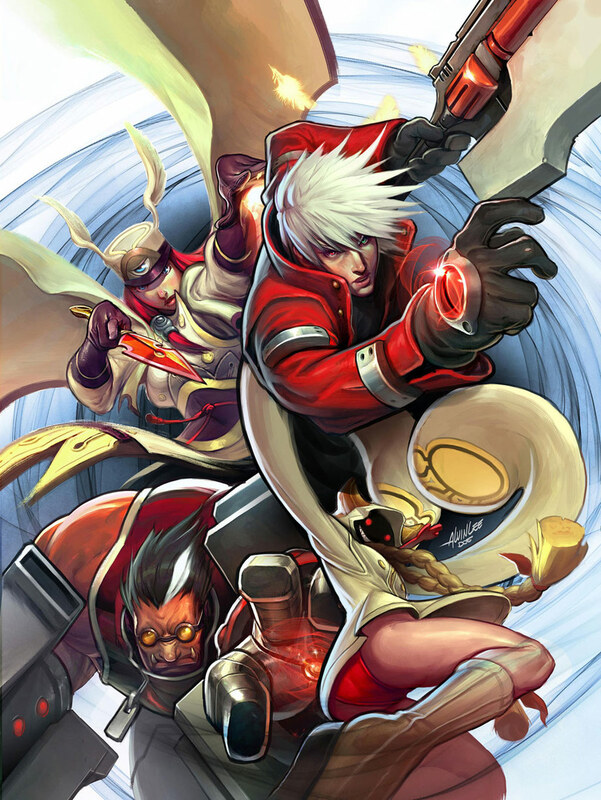 He has done artwork for many iterations of King of Fighters and has been involved in various SNK projects since 1998. 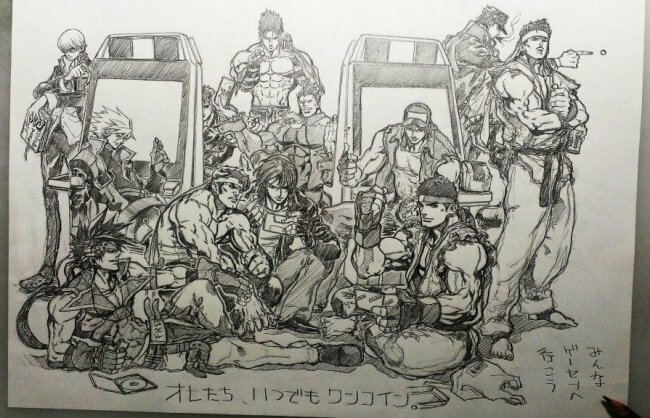 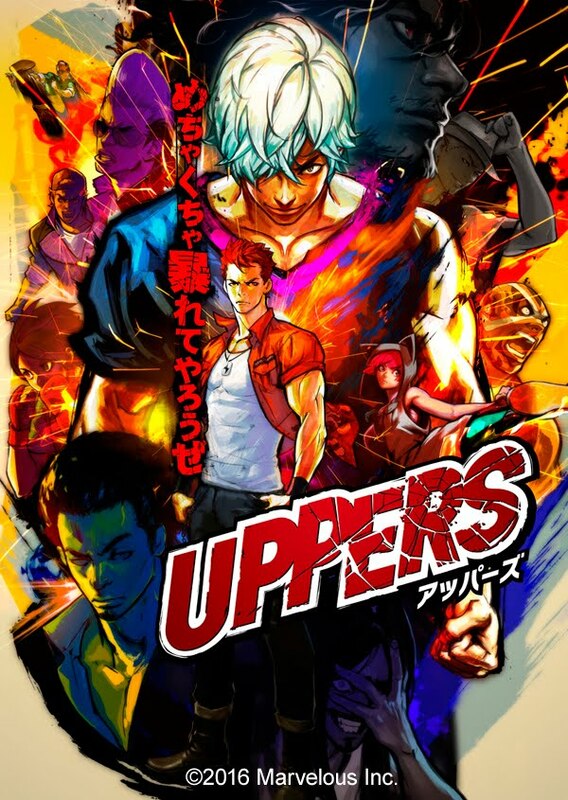 After graduating from Kyoto Seika University, Falcoon began as a fan-artist doing renditions of different company games, such as: Street Fighter, The King of Fighters, and JoJo's Bizarre Adventure. 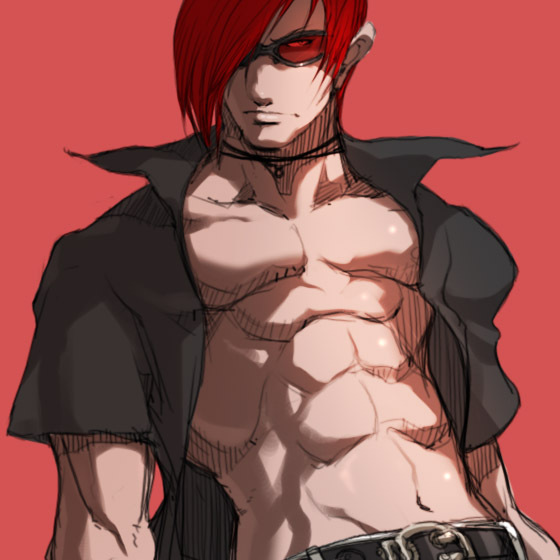 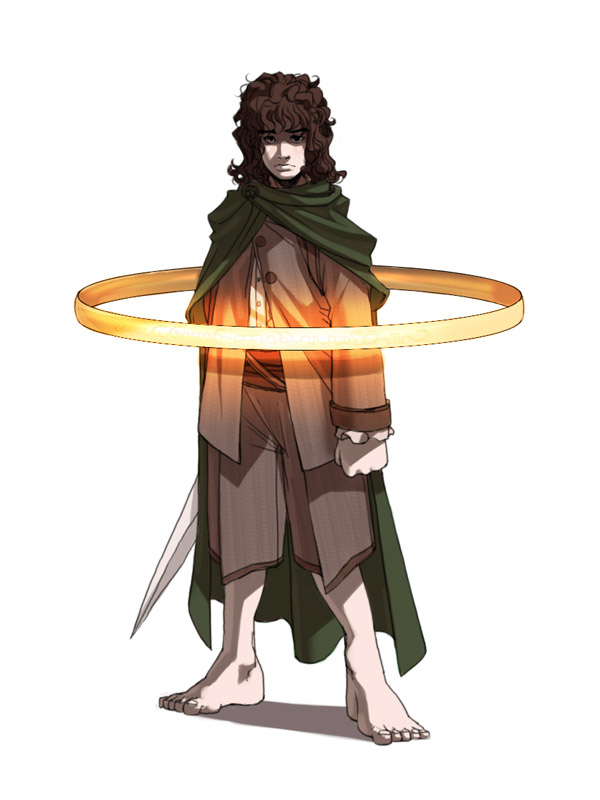 From there, he grew a strong fan base on the internet, which SNK took note of. 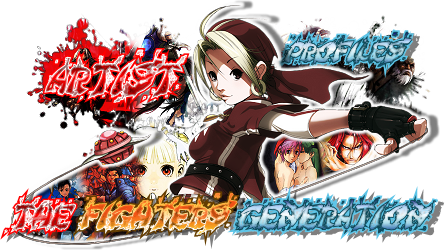 His first major project was designing the cards for Card Fighters Clash and artwork for SNK Vs. Capcom: Match of the Millennium. 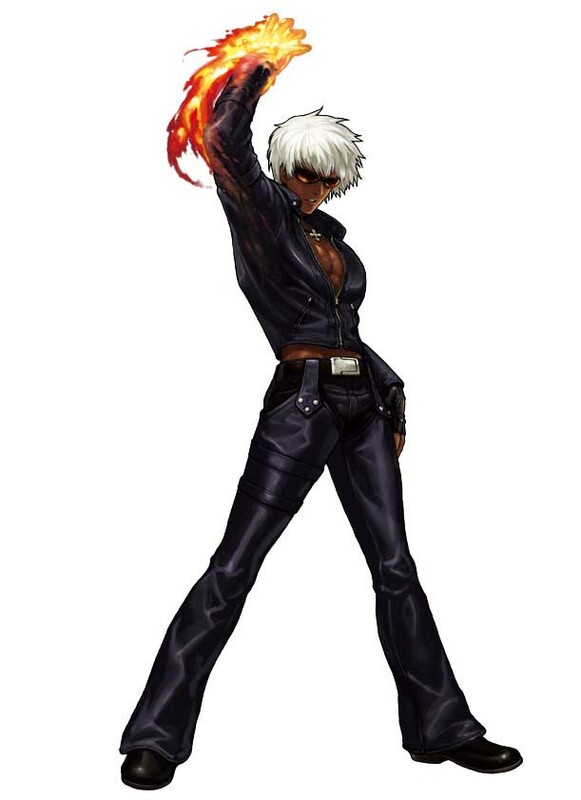 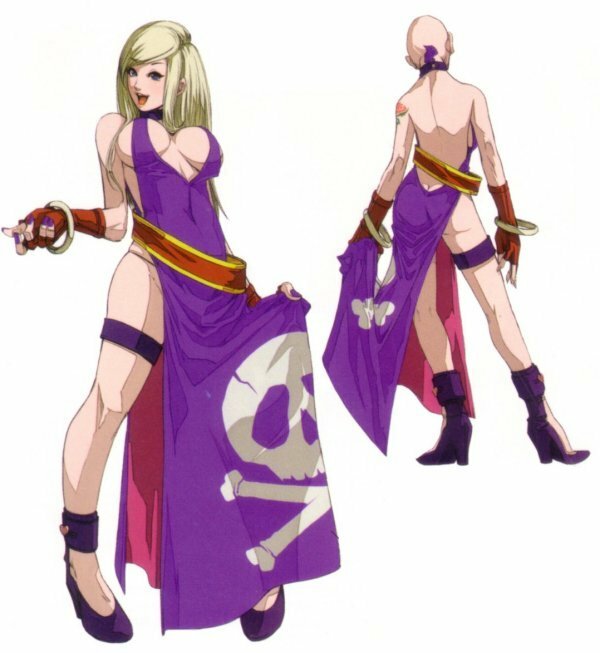 Falcoon was also behind character artwork & costume design in The King of Fighters 2003 & The King of Fighters: Maximum Impact series. 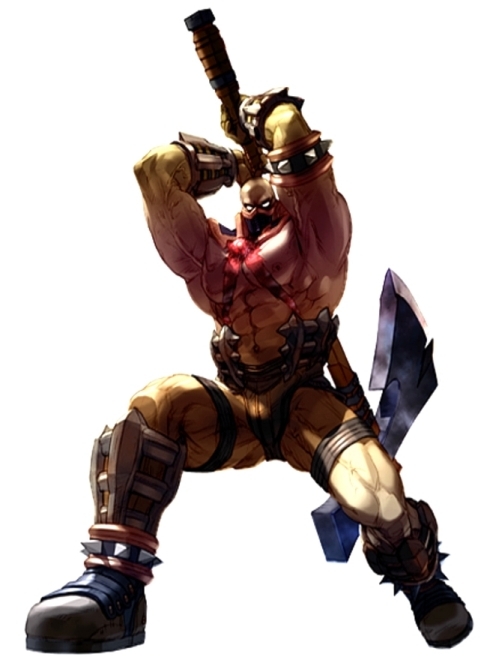 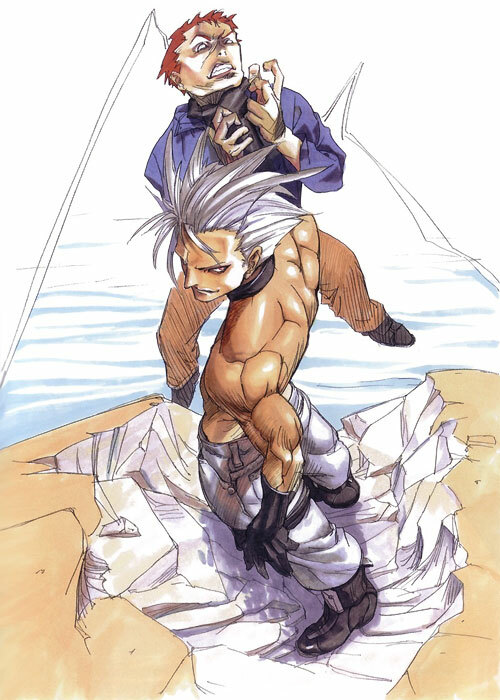 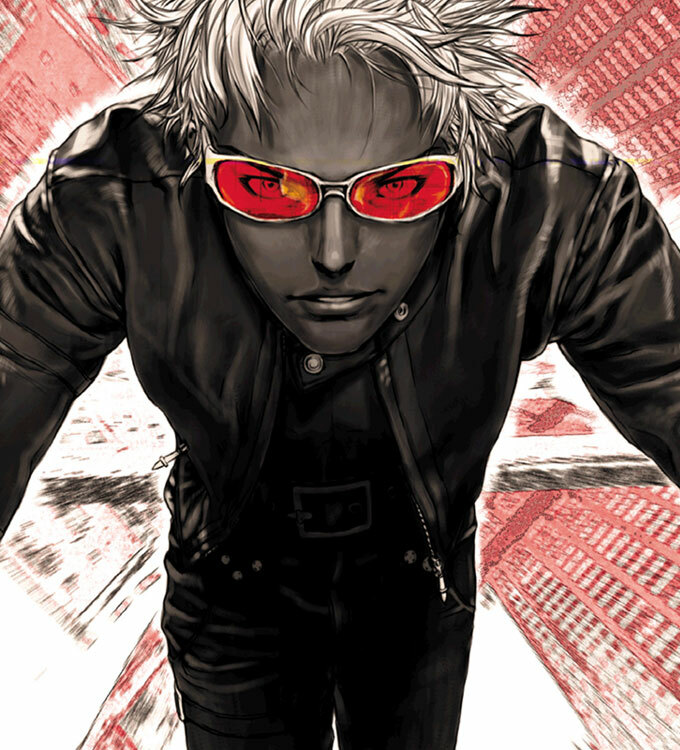 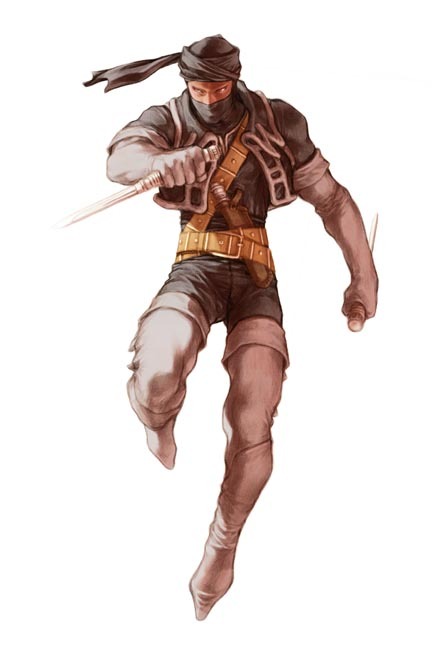 With his trademark poses, sharp anatomy, unique proportions, bright colors, and great clothing detail, Falcoon's character artwork never fails to stands out. 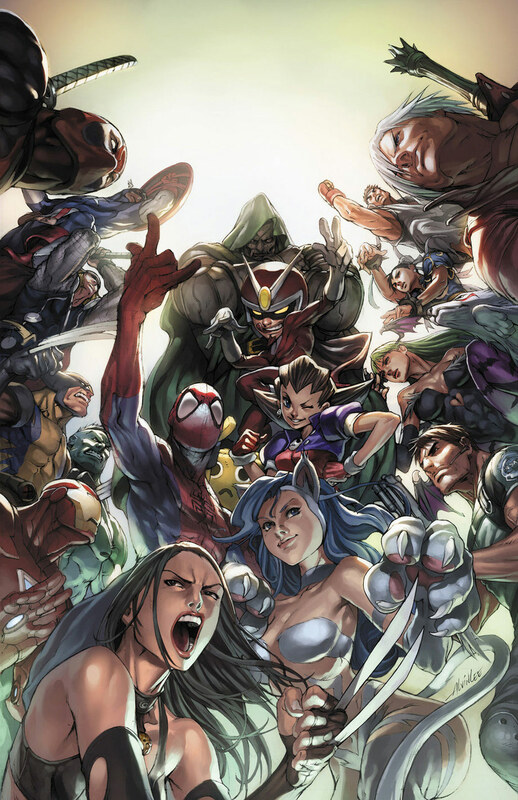 As you can see (above), Falcoon has drawn a wide variety characters from many different franchises in his unique art style. 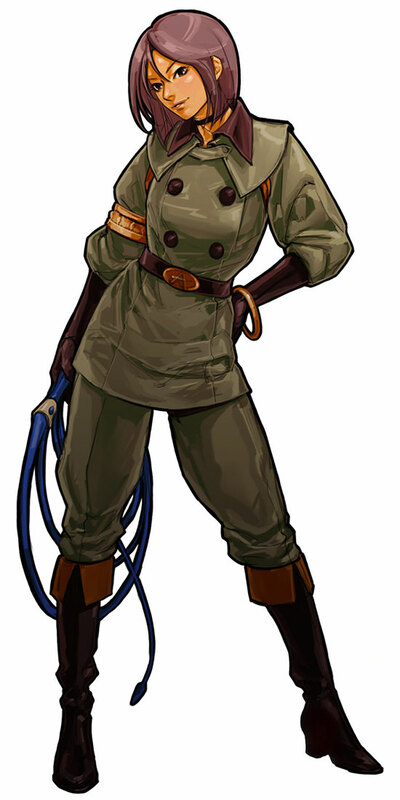 In 2017-2018, Falcoon once again used his "chibi" style of artwork for character illustrations in various SNK mobile titles. 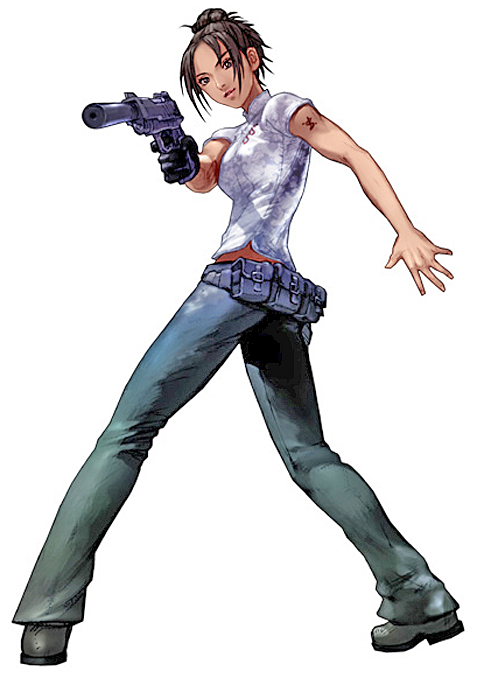 Mick McGinty started as a freelance artist in 1983. 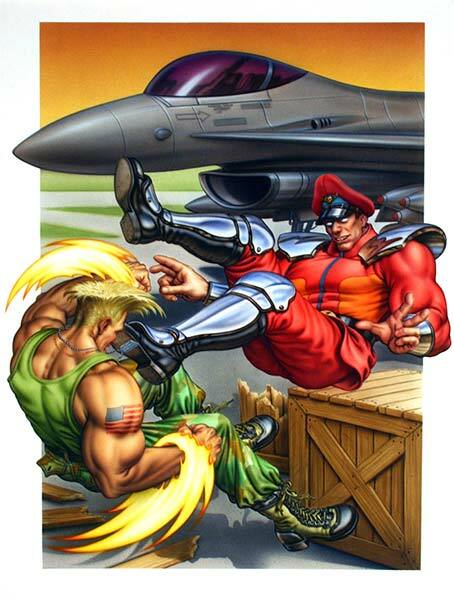 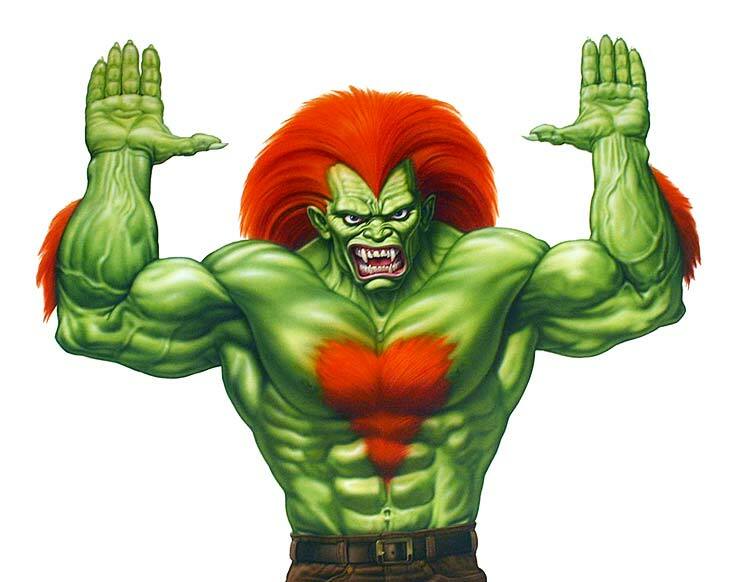 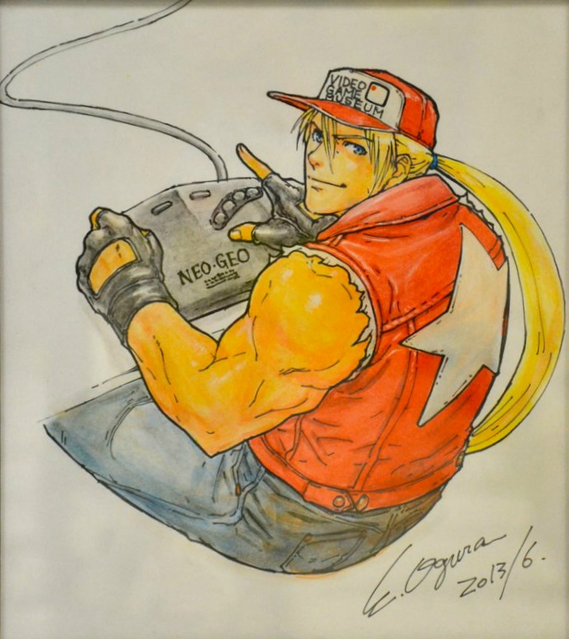 He began working on the U.S. cover art for the Street Fighter 2 series by chance. 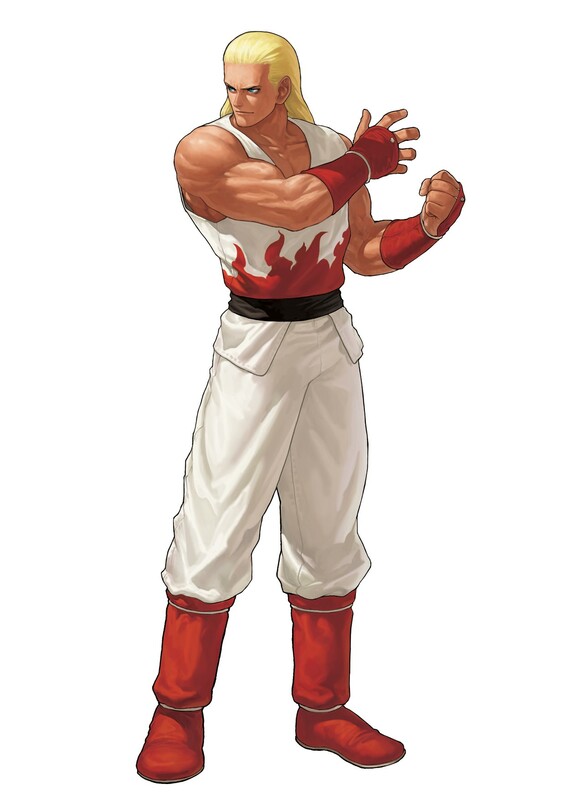 During the release of SF2, Capcom USA's marketing department decided to follow gaming trends by Americanizing SF2's art style. 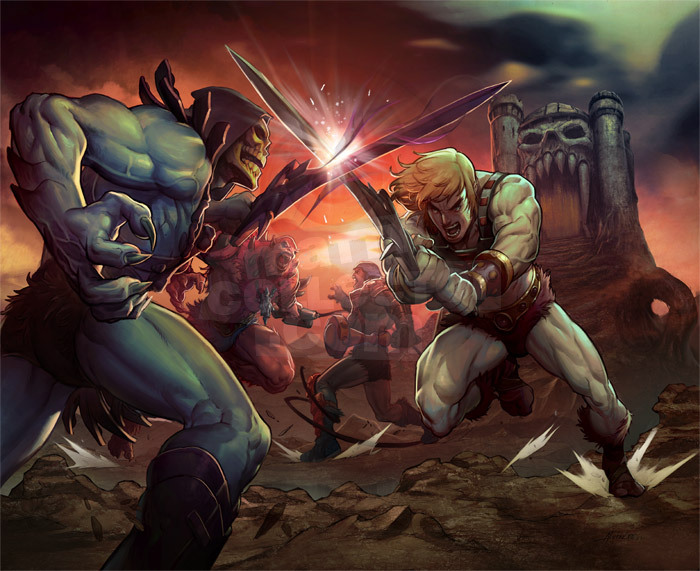 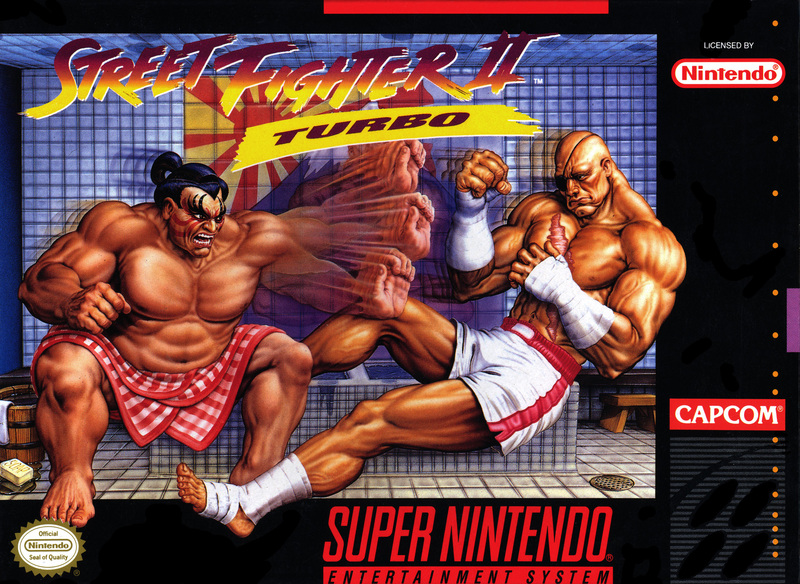 After being given some Polaroid screen grabs of SF2 from his client Denny Moore, Mick began creating the memorable box art for the SNES and Genesis versions of SF2. 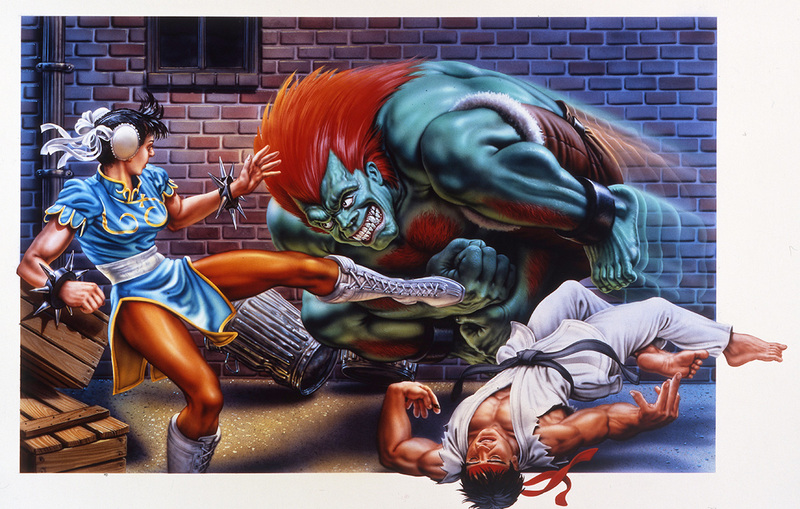 In Mick's words, "I wasn't a real realistic painter, but I could do this exaggerated realism. 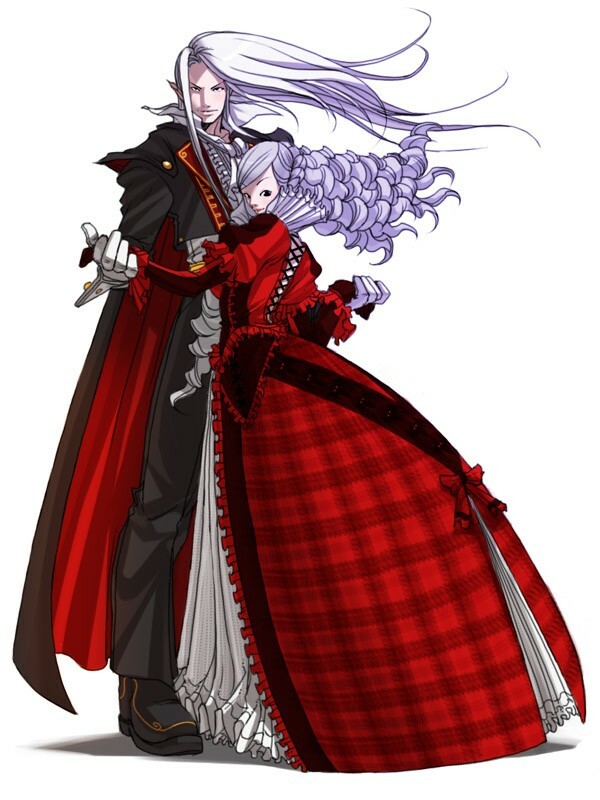 I could kind of give an American slant to the characters and the things they were trying to accomplish with that game. 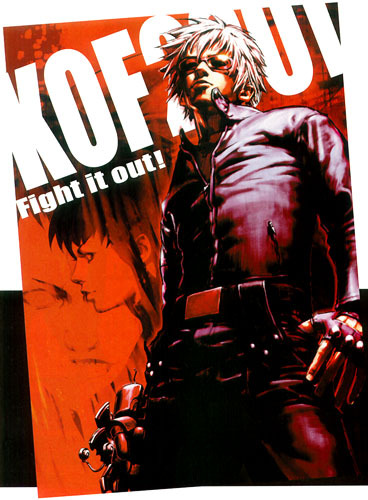 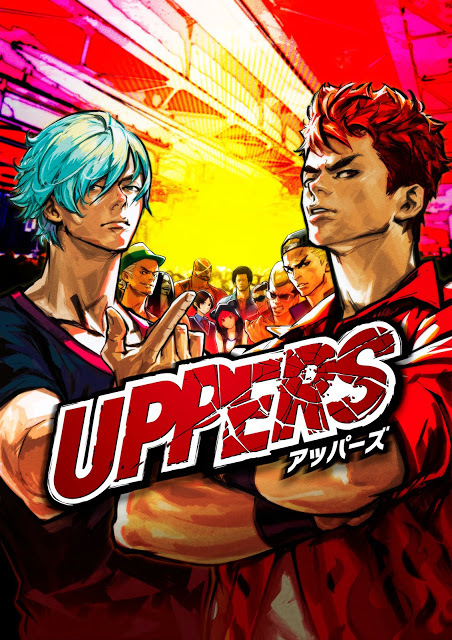 Because I think the first thing that they realized was that they weren't going to be able to sell these games very well if they had the original Japanese art — which at the time, I didn't like. 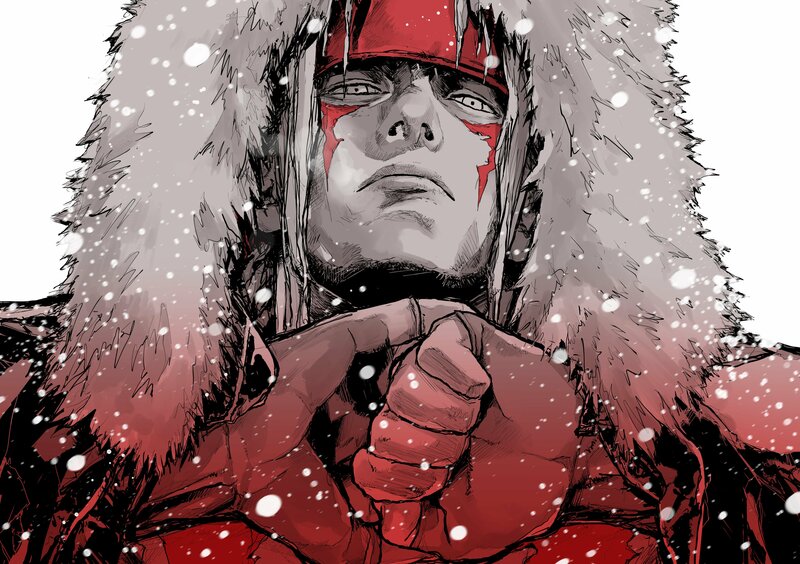 Anything I saw, it was just too foreign to me at the time. 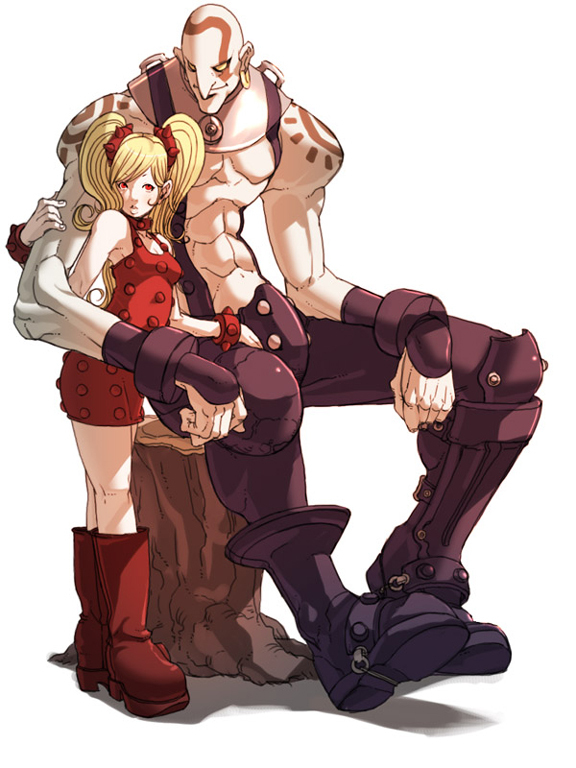 But now, 20 or 30 years later, I really love their work. 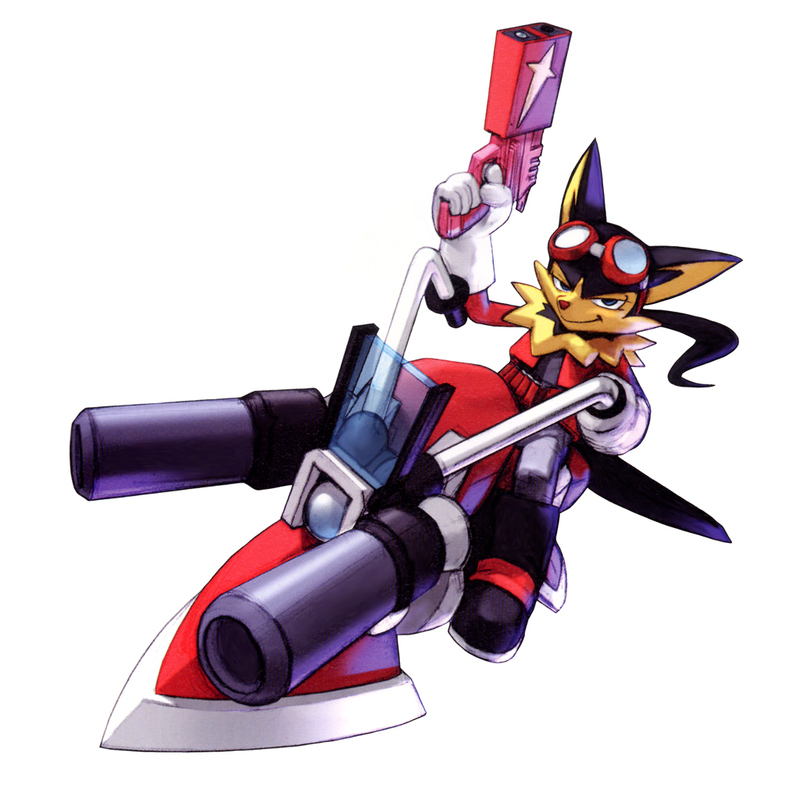 It's just nice, edgy, colorful, action-filled — it's just cool stuff. 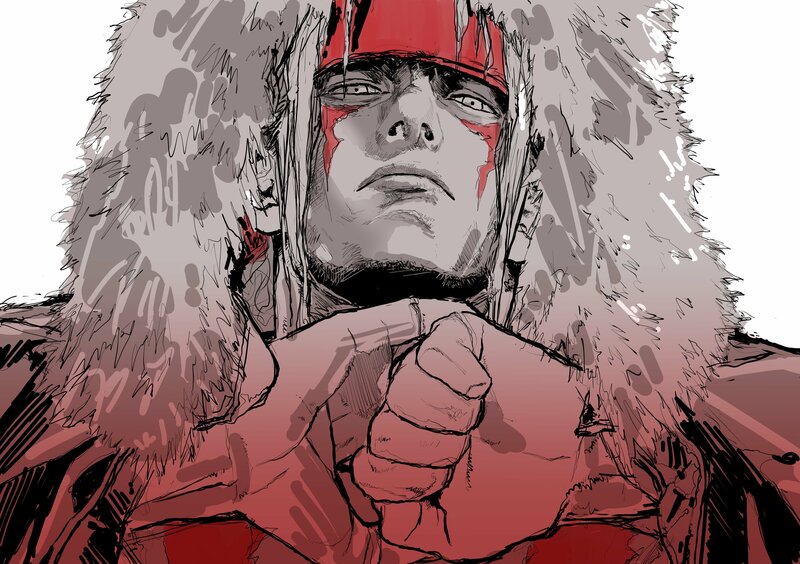 And I think the American buying public, they don't have a problem with it now." 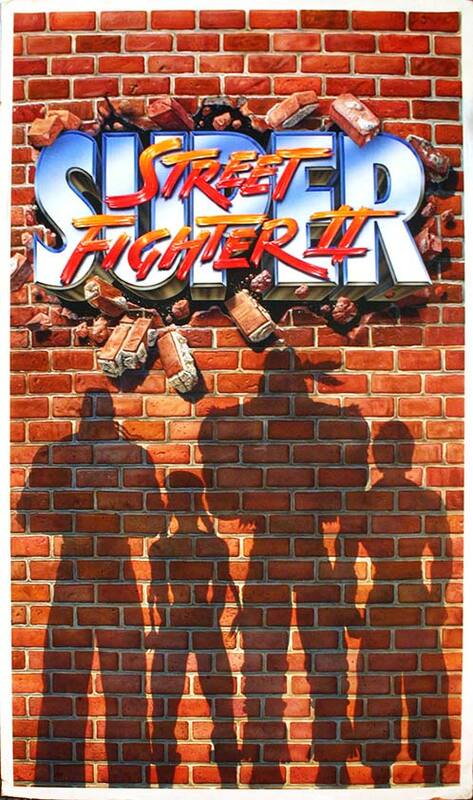 McGinty is perhaps best known for his memorable cover artwork for SF2: World Warriors, SF2: Special Champion Edition & SF2: Turbo. 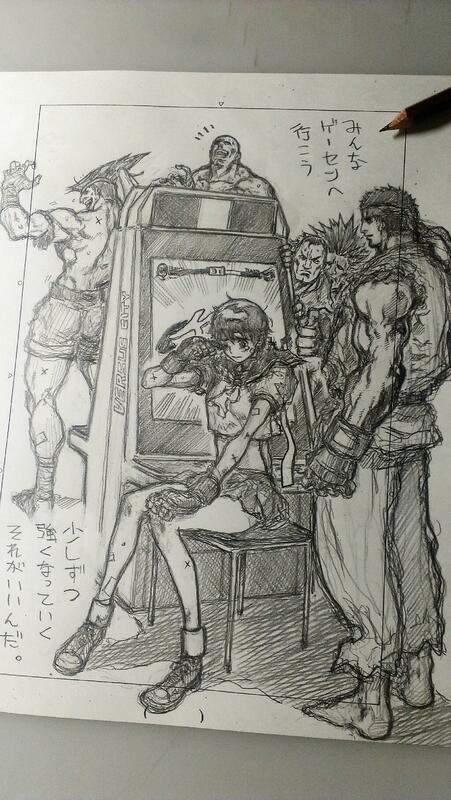 Motoki Yoshihara is a Japanese artist who has done many illustrations for numerous fighting game tournaments in Japan. 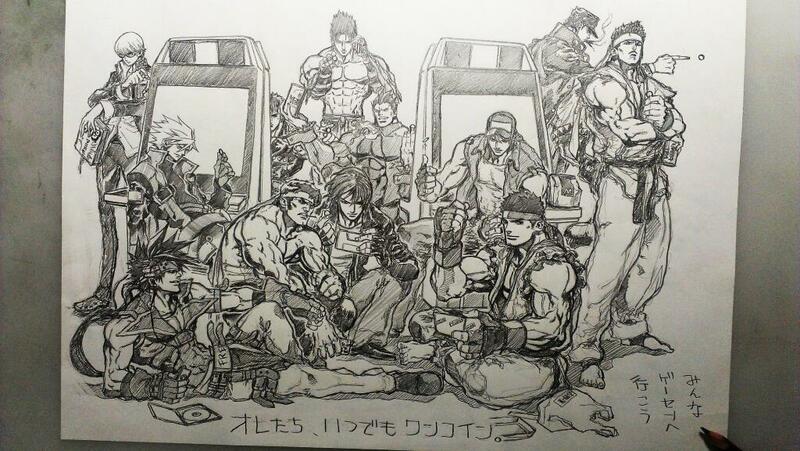 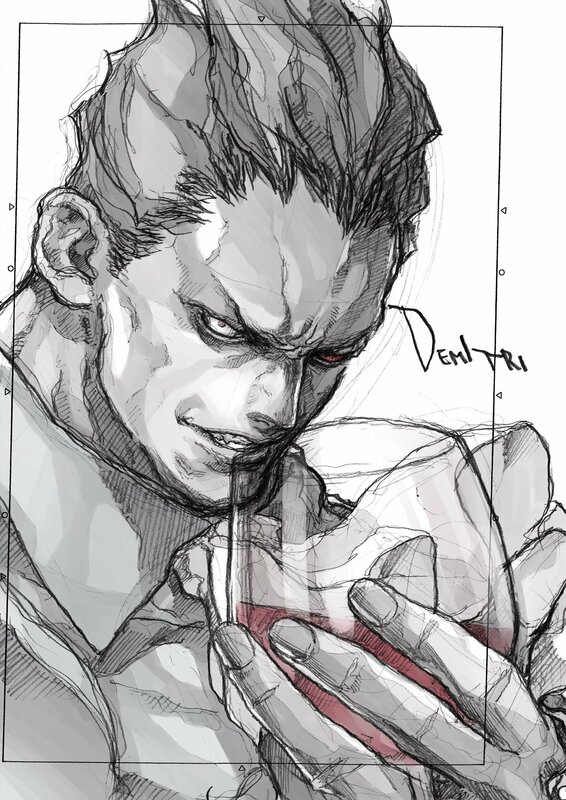 His "sketchy" and sharp style is immediately recognizable, and the way he portrays each character and their emotion makes it clear that he's been a fan of fighting games for a very long time. 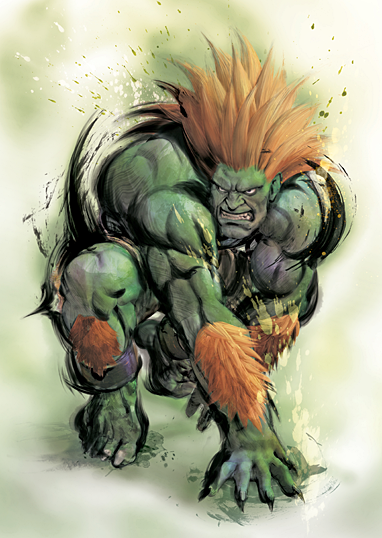 Alvin Lee is one of the few North American born artists still presently involved in the Anime/Manga movement in comic books, games and media. 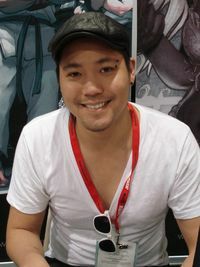 He has worked for Marvel, DC, Wildstorm, Top Cow, Dreamwave, UDON, Darkhorse and Image Comics. 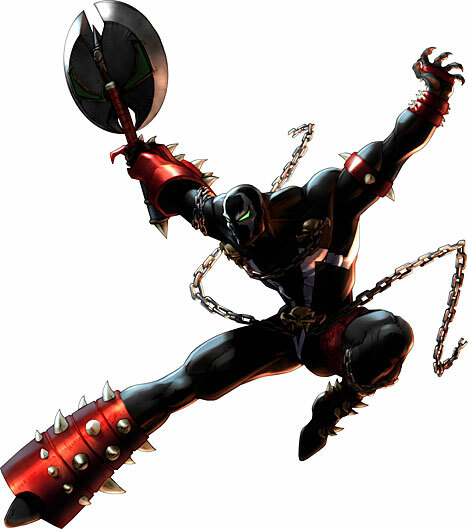 Some of these properties include, X-Men: Age of Apocalypse, Star Wars, Transformers, Deadpool, Thundercats, and Gotchaman. 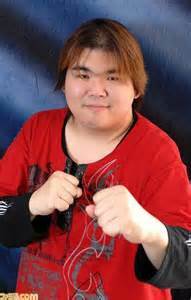 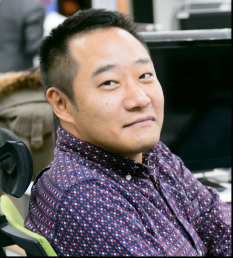 Most notably for fighting games, is his dedicated revival alongside UDON Entertainment of the Street Fighter series in North America leading to the renewed interest in the historic franchise all over the globe. 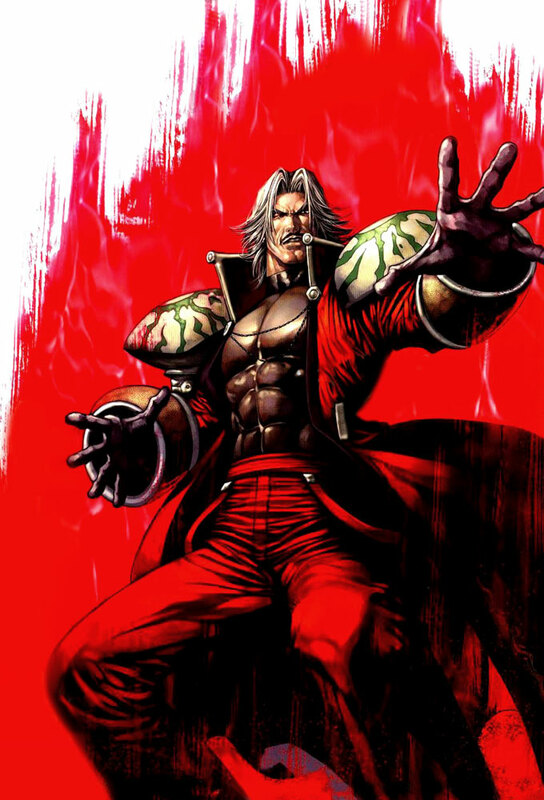 His talent has also led the art style of three Capcom fighting games, Capcom Fighting Jam, Street Fighter 2 Turbo HD Remix, and Marvel vs. Capcom 3. 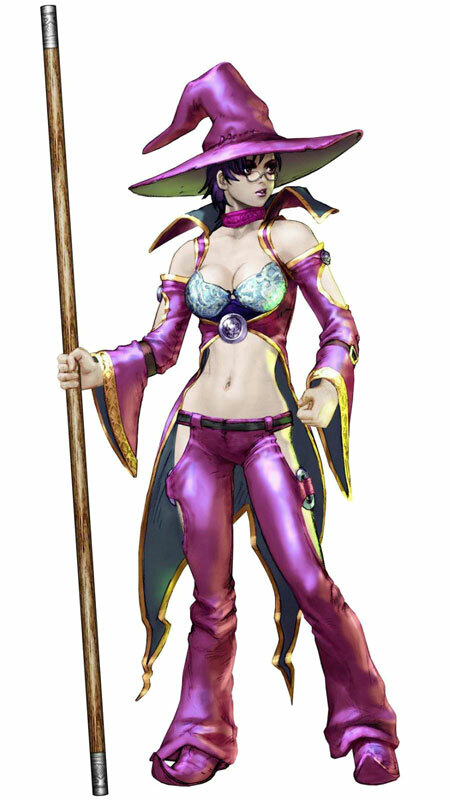 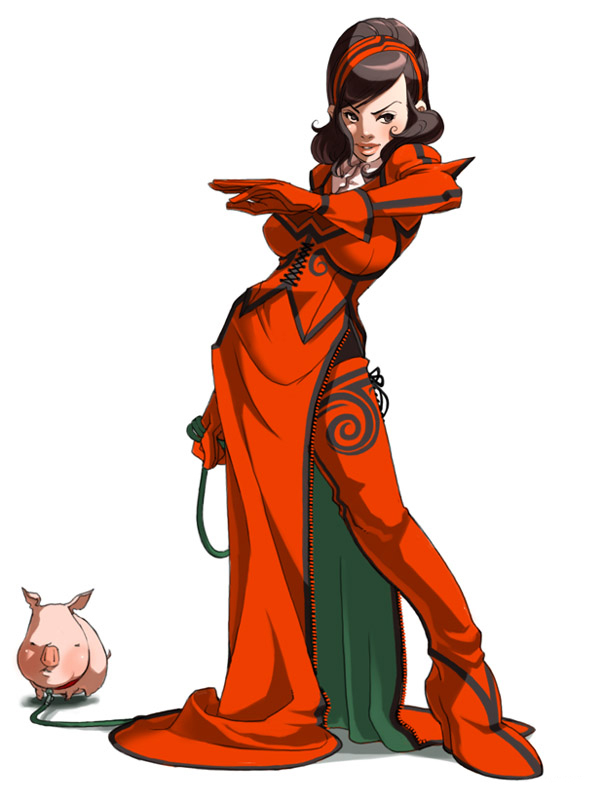 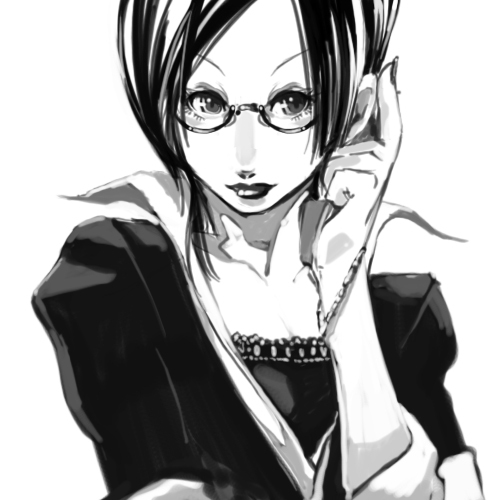 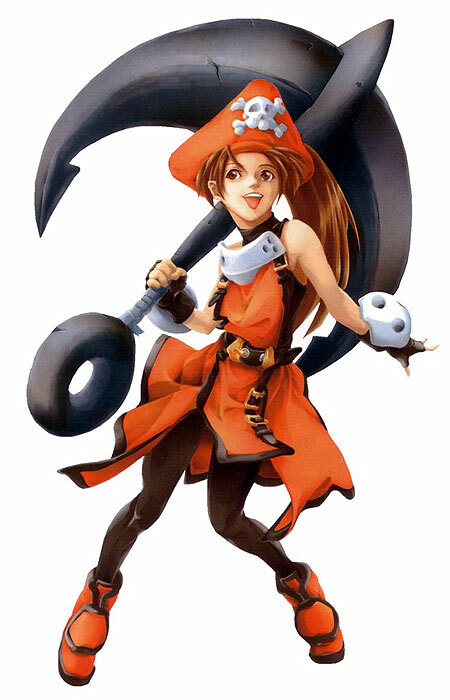 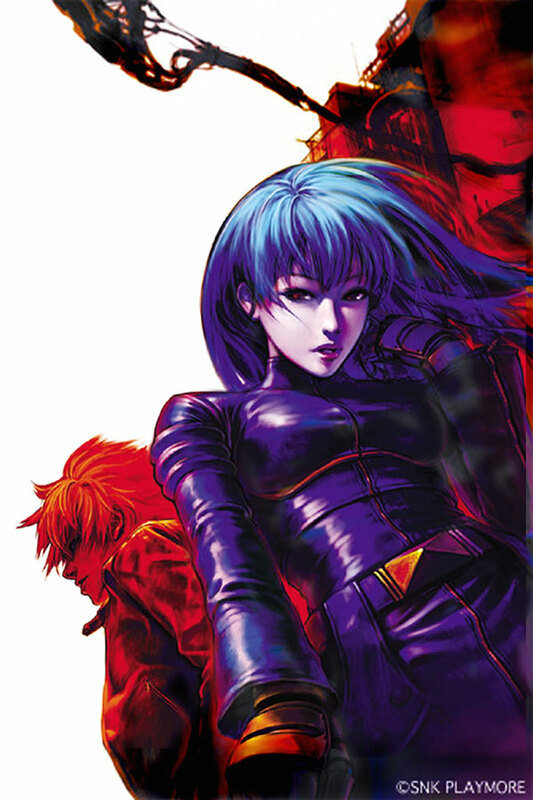 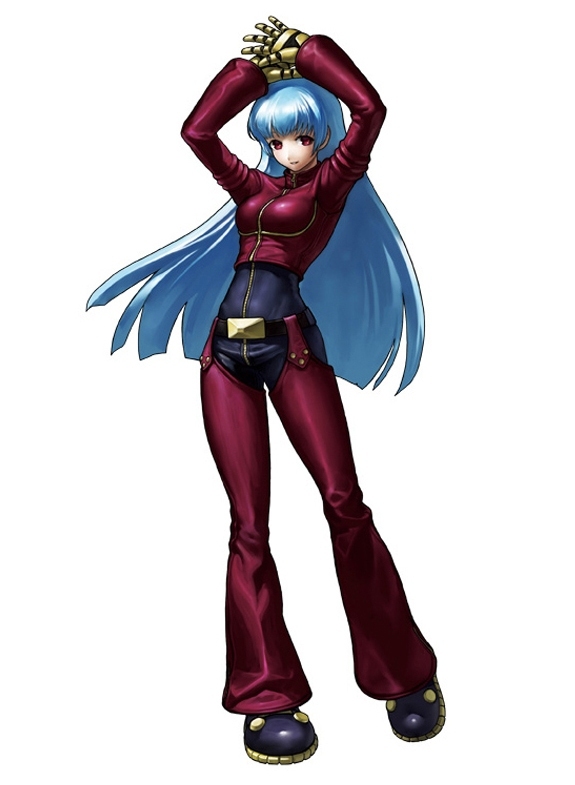 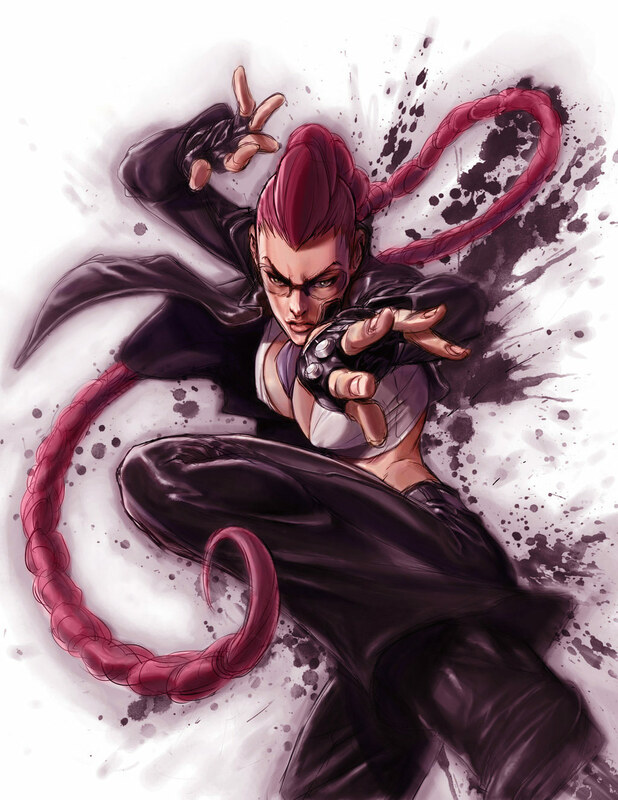 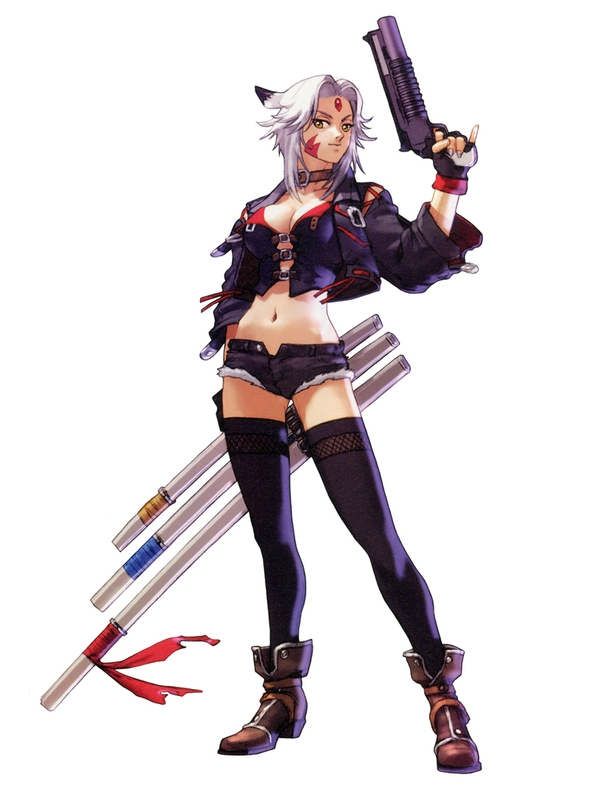 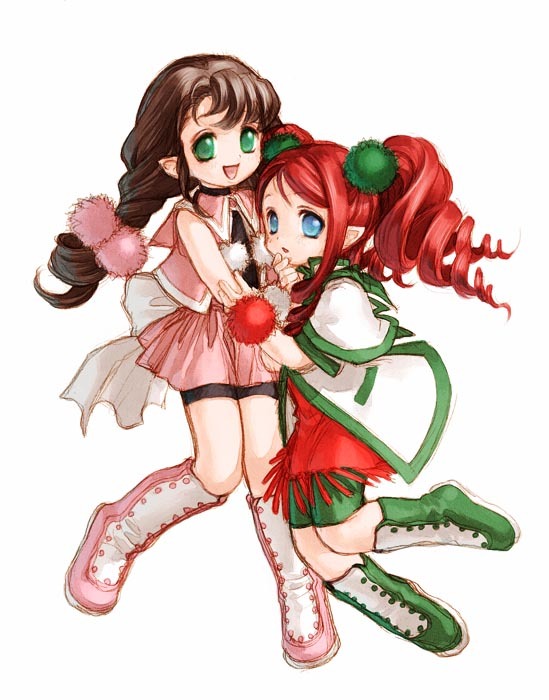 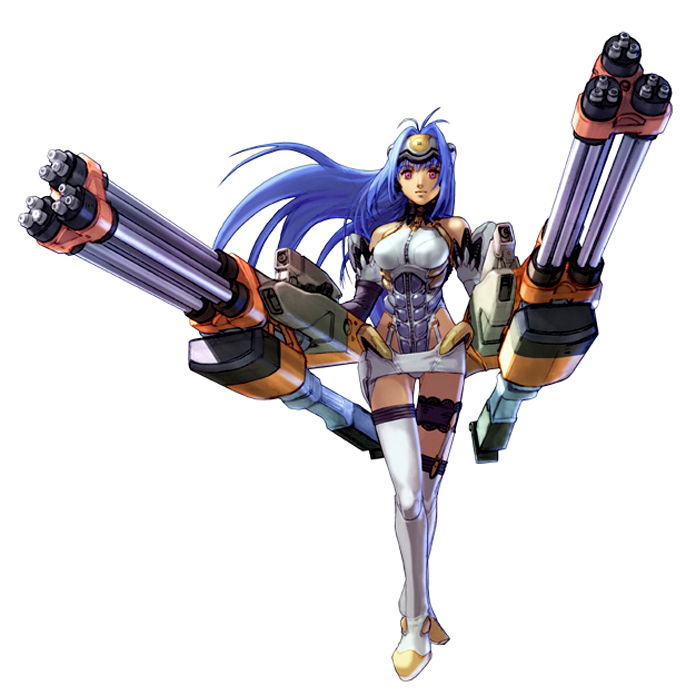 Nona was hired by SNK in 1995. 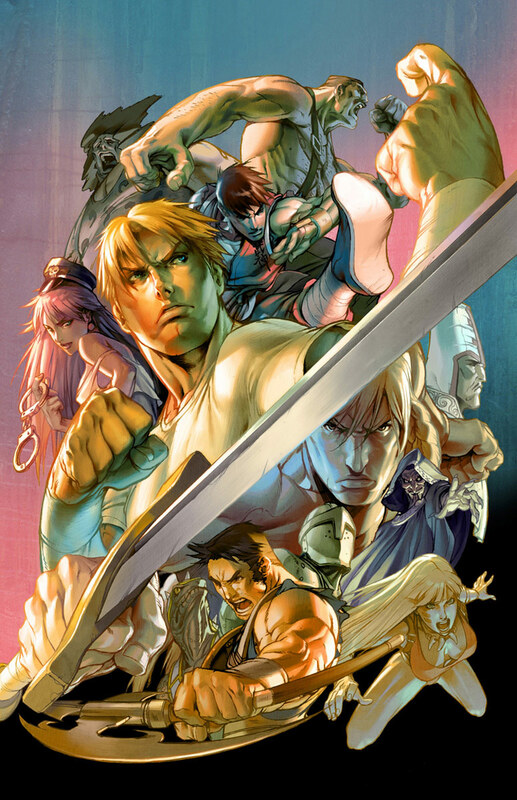 He has done artwork for several SNK classics, such as SNK VS Capcom Chaos, King of Fighters 2001 and King of Fighters 2002. 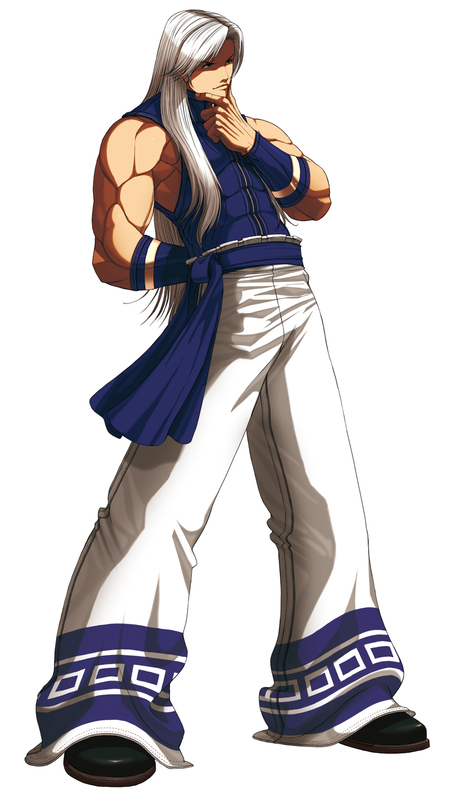 He was also in charge of the endings for King of Fighters XI. 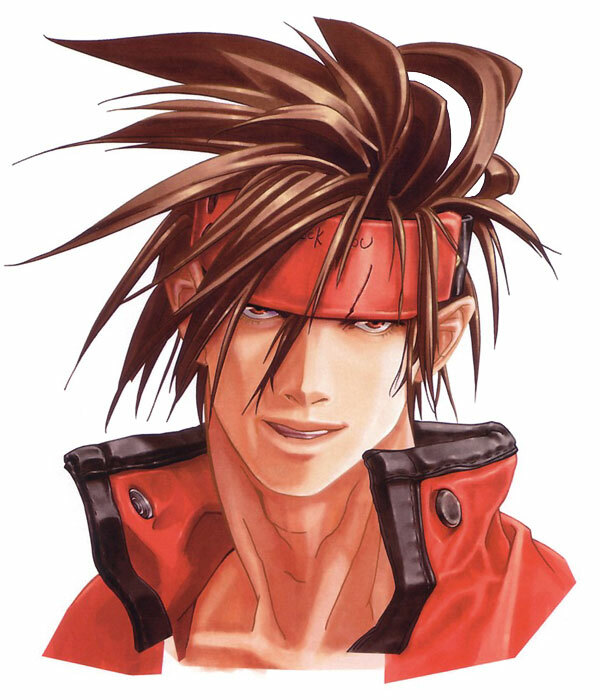 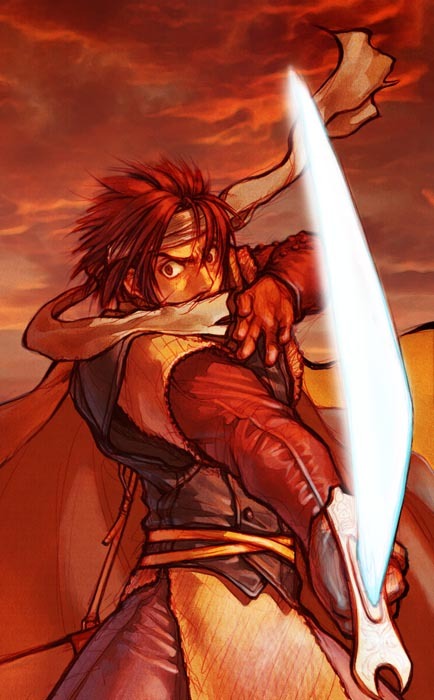 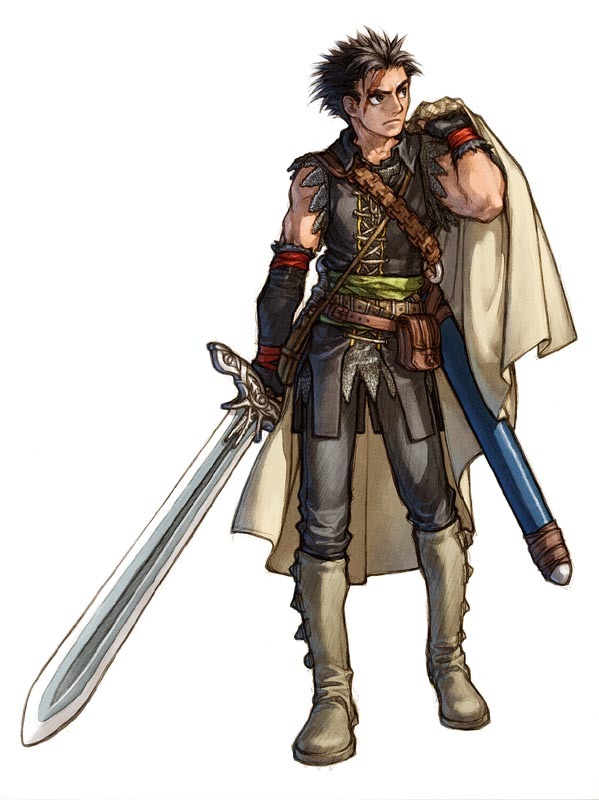 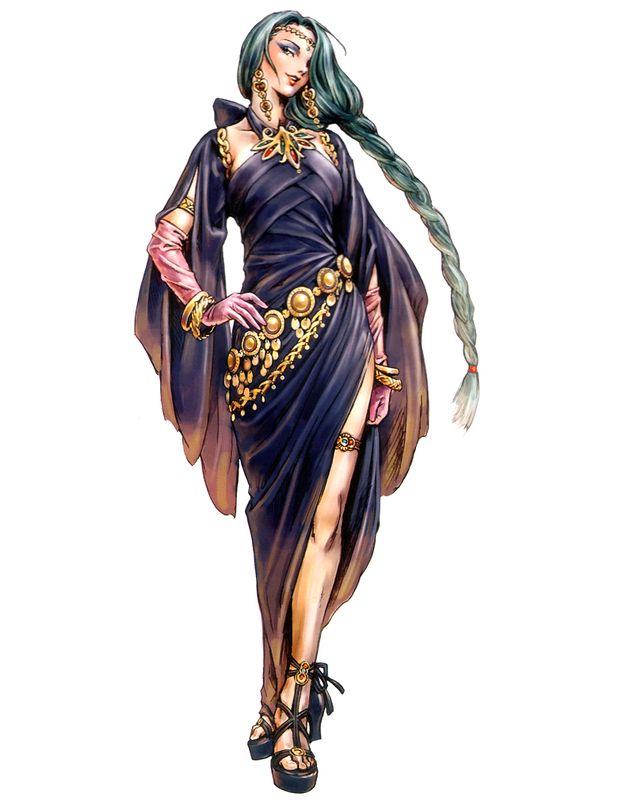 Senri Kita is a well known female artist for SNK, but also worked on the Capcom VS SNK series done by Capcom. 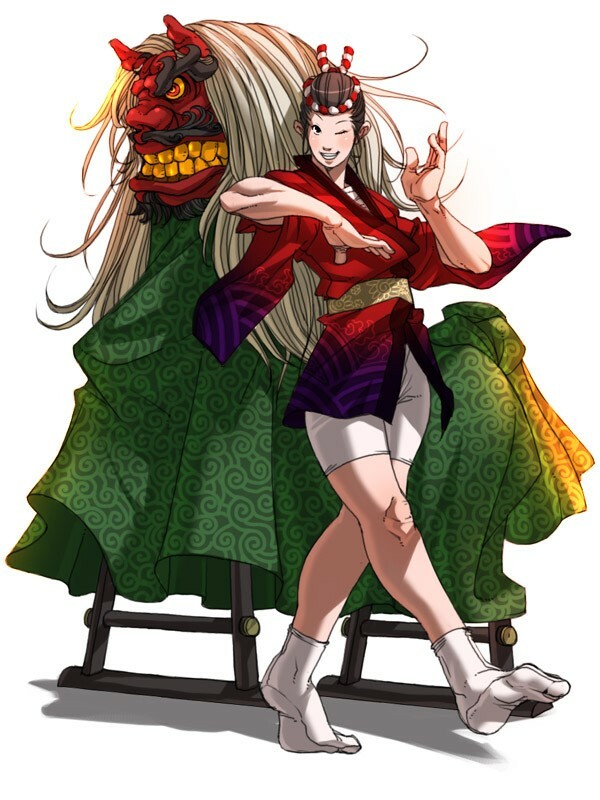 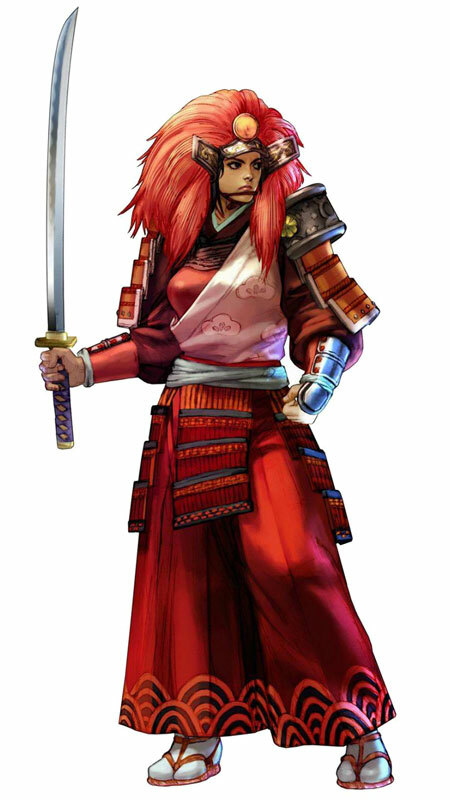 She is noted for her works on Garou: Mark of the Wolves, Samurai Spirits 64, Samurai Shodown Warriors Rage, Fire Emblem: Radiant Dawn, and SNK VS Capcom: Match of the Millennium. 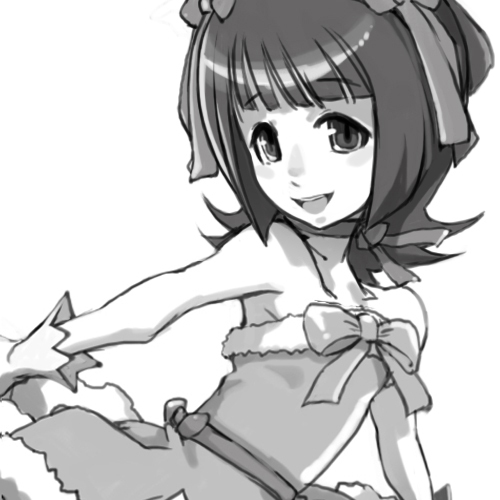 Thank you for checking out TFG's Artist Profiles Feature. 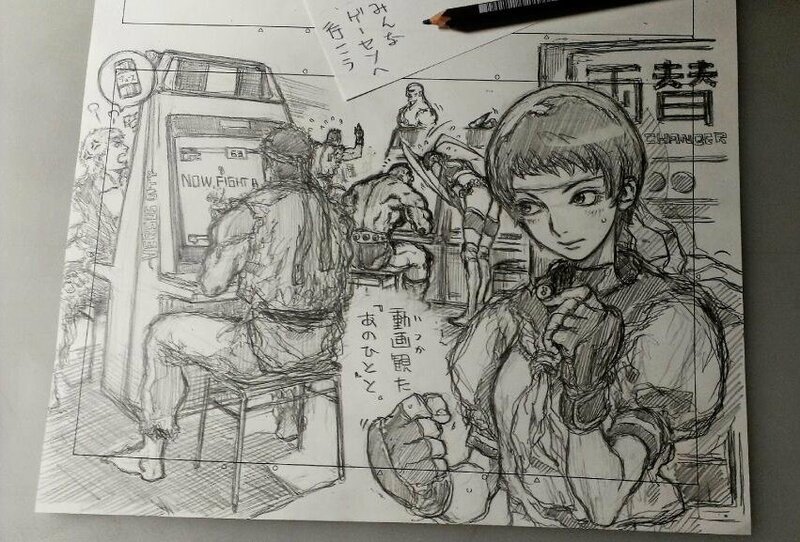 I'll always keep this page updated and add more fighting game artists in the future. 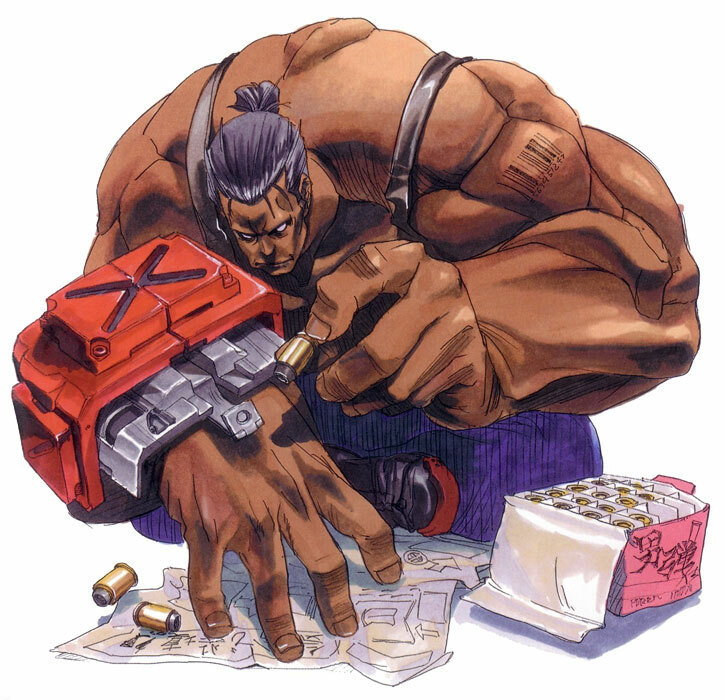 If you have any suggestions, feel free to contact me. 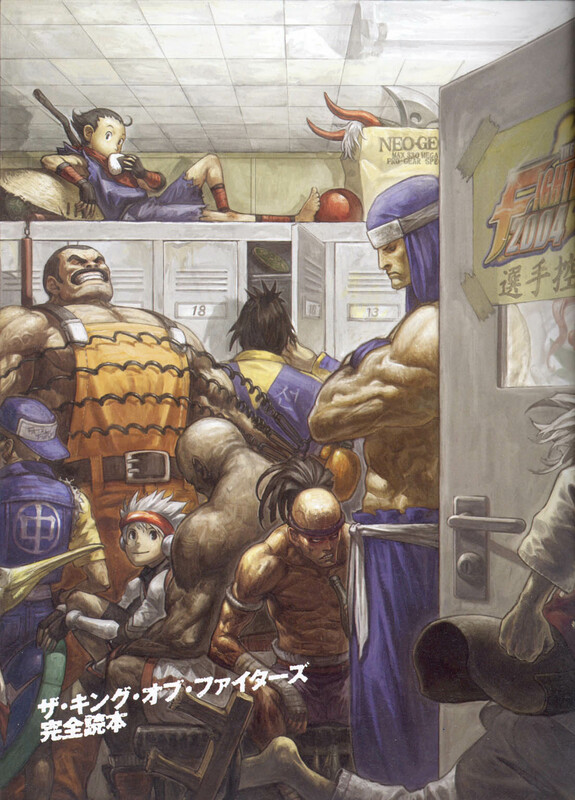 In closing, I'd like to repeat a paragraph from TFG's About page regarding the artists mentioned here, and their great contribution to fighting games. 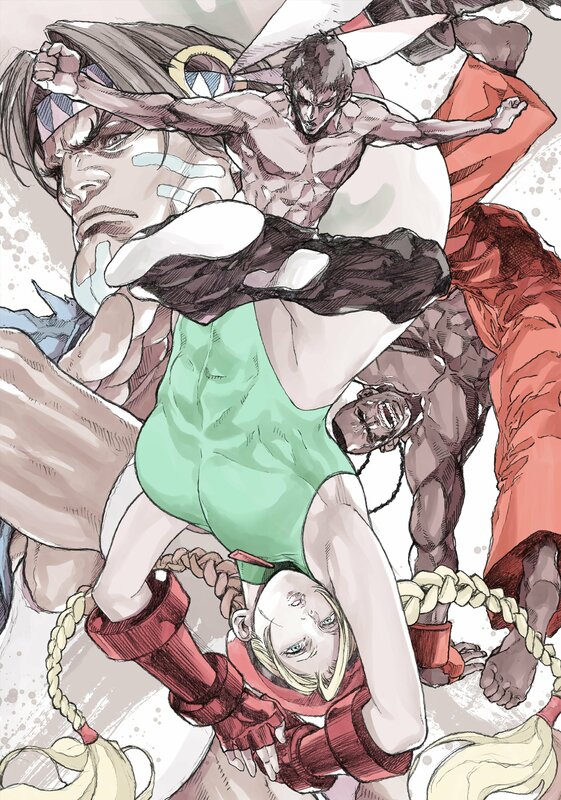 "First and foremost, The Fighters Generation embraces the ARTISTIC side of fighting games. 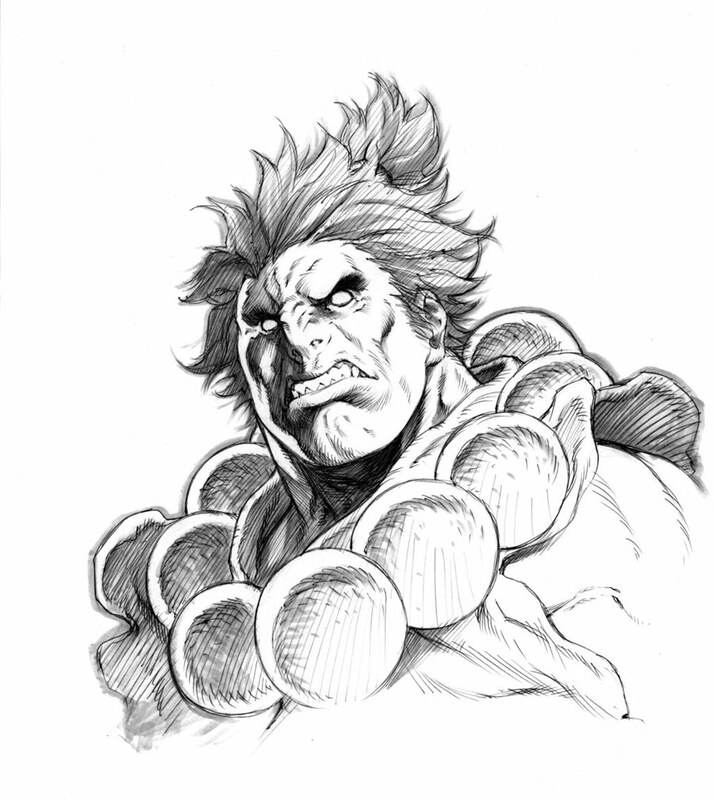 As a casual pencil artist since I was a child, I've always been inspired by "interesting "character designs. 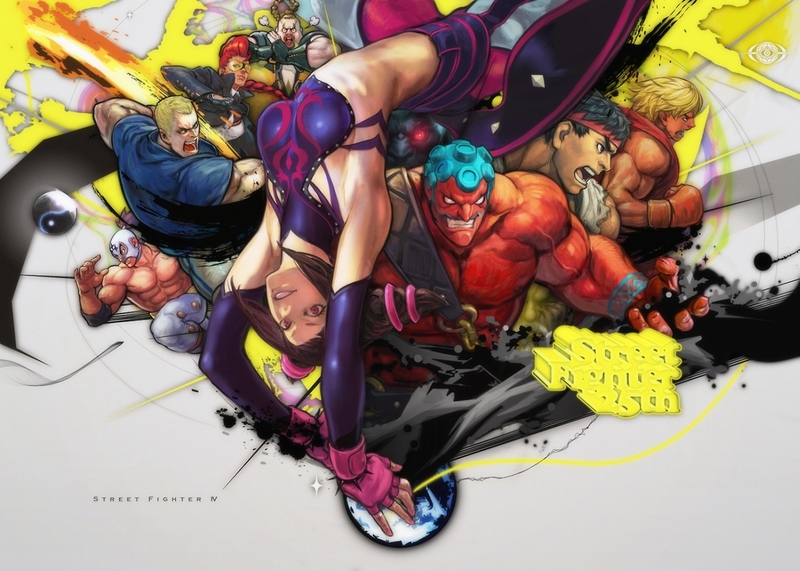 If you're well-acquainted with the top fighting game franchises, there's no doubt you respect something about the artwork & visual designs of many of the characters. 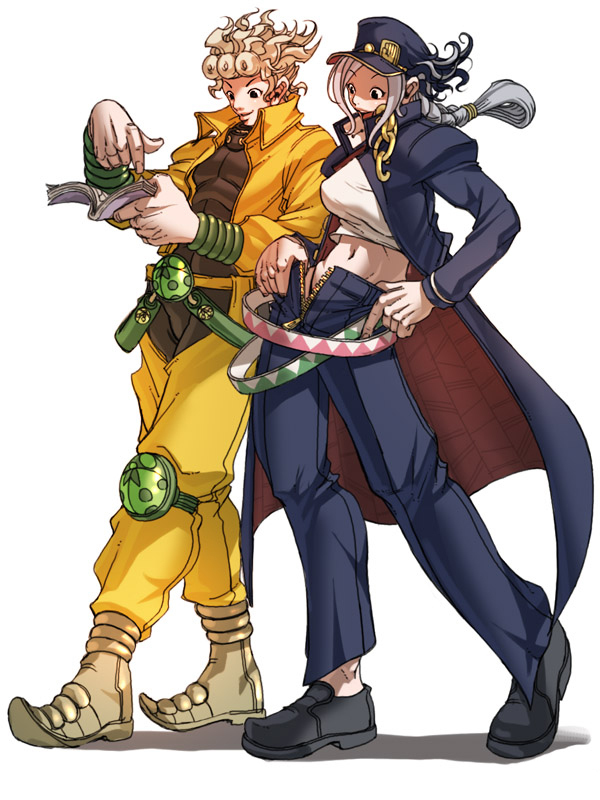 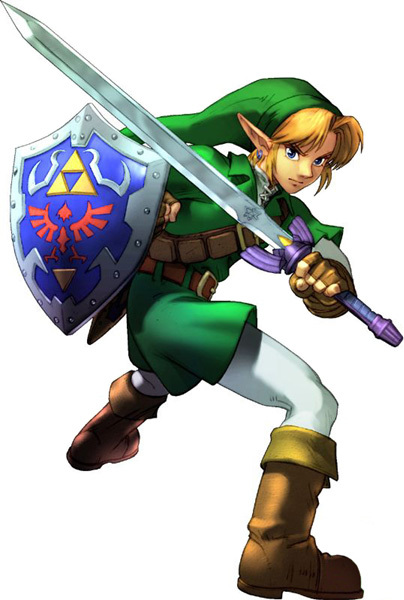 Not only their visual appearances, but their storylines and movesets can be inspiring in a variety of ways. 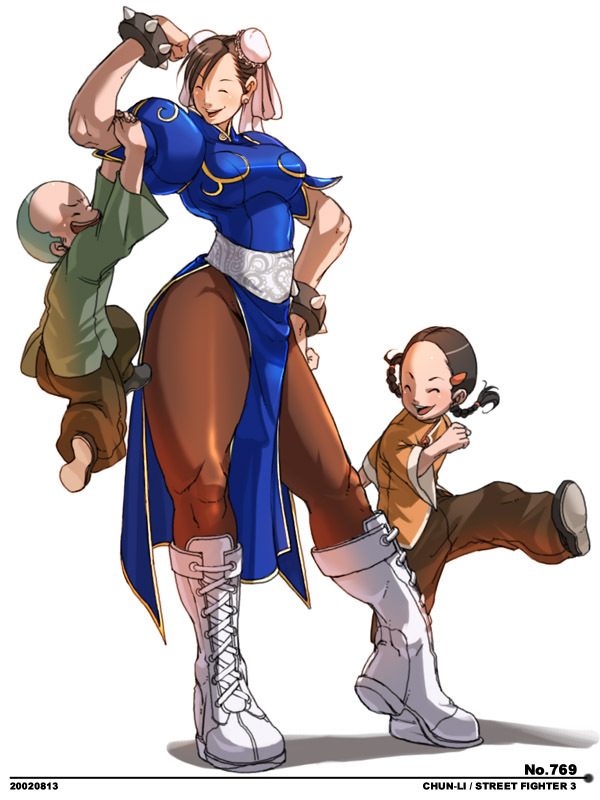 Let's face it, not everyone can appreciate what "good" art is these days. 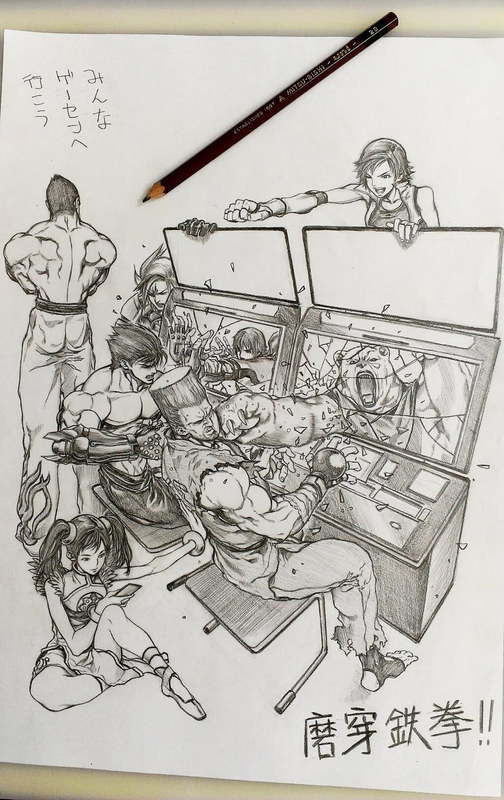 Contrary to what some might think, many fighting games can easily be considered "works of art"... not only due to the intricate game designs themselves (and some of their brilliant soundtracks), but due to the countless 2D artworks, 3D renders, and animations that were created from scratch by amazingly talented, legendary artists. 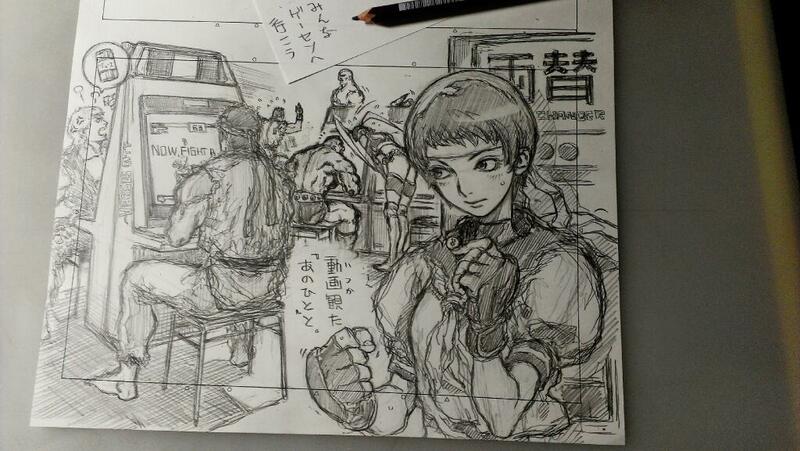 On that note, the true credit behind TFG's visual content goes to the master artists who are responsible for some of the most inspiring and skillful video game art of all time... Just to name a few: Bengus, Akiman, Shinkiro, Edayan, Takuji Kawano, Kinu Nishimura, Daigo Ikeno, Falcoon, Nona, Eiji Shiroi and Daisuke Ishiwatari. 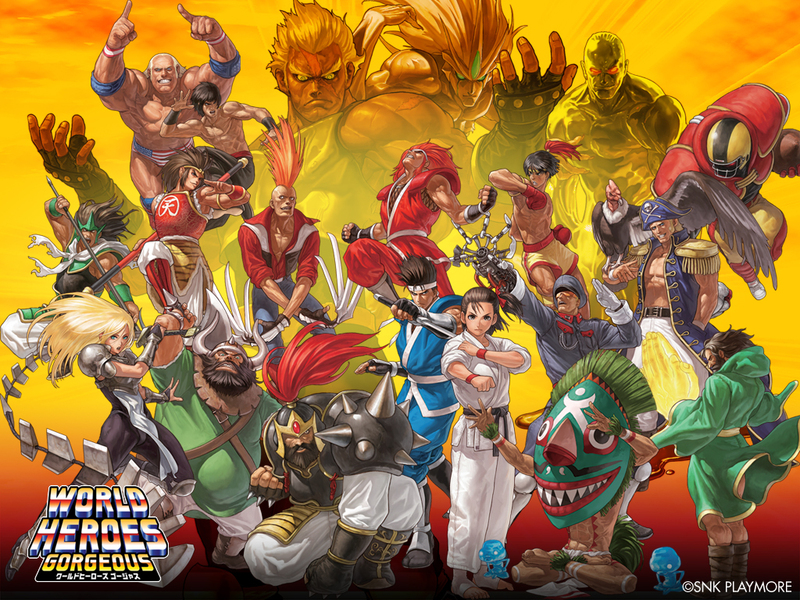 In case you don't know, the original purpose behind this website was to proudly and respectfully showcase the very underrated, but fan-appreciated artwork of fighting games. 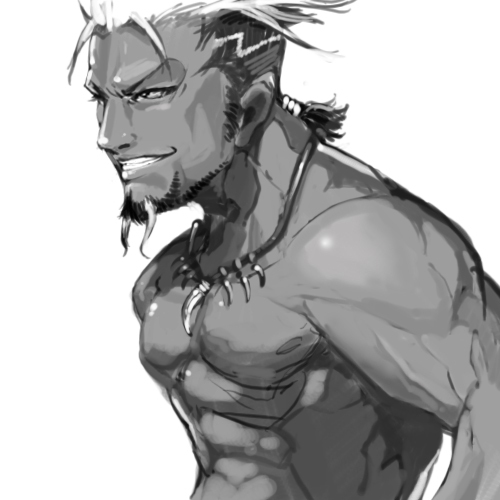 If it weren't for the preceding artists, TFG certainly would not be here. 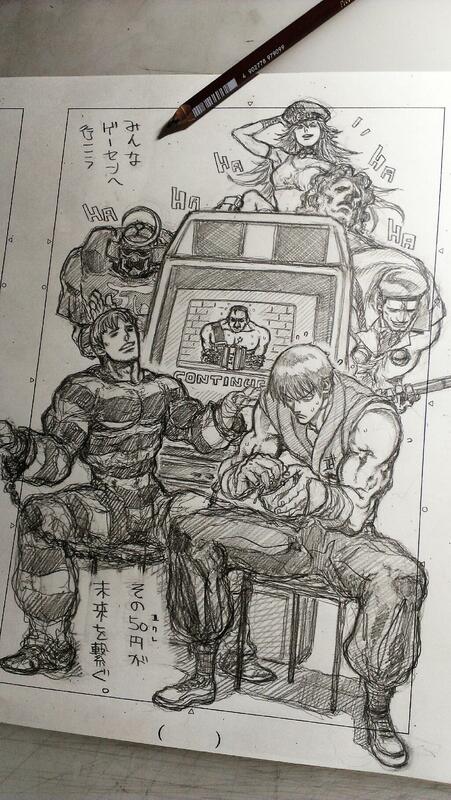 And in turn, you may never have become interested in fighting games if it weren't for the aforementioned artists."